First of all my apologies for missing the normal late Monday publication timing, sometimes personal matters overtake one's target dates! This week has been rather difficult as I'm waiting for spinal checks and have been unable to sit for long period at my PC. 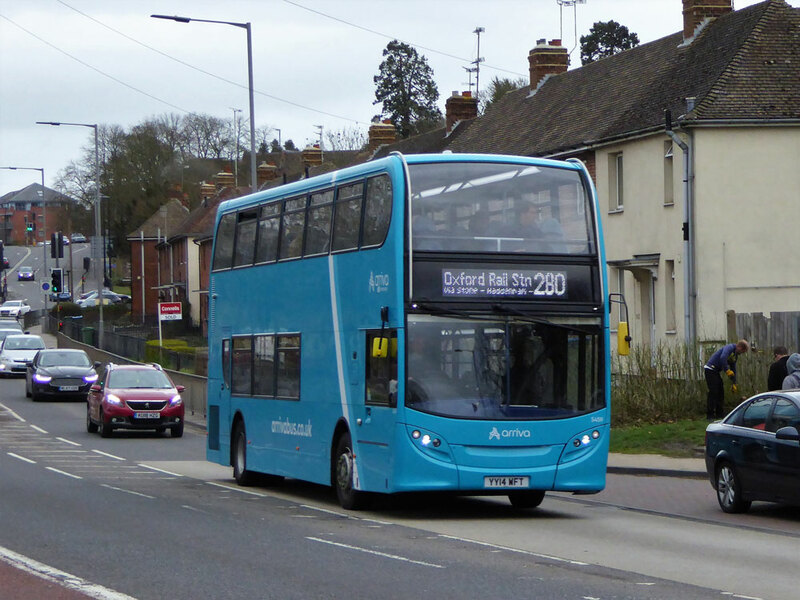 A particularly nice picture this week is from Hugh Jaeger taken in Oxford of an Arriva bus on the 280. E400 5469 and Daffodils in London Place, Oxford on March 26th by Hugh Jaeger. 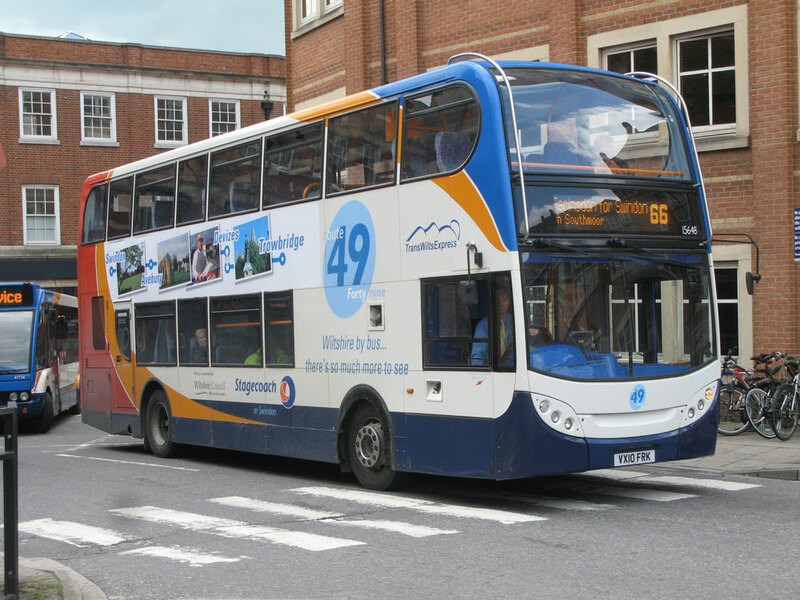 You will notice that this page is now published in association with SKM Steven Knight Media a site which offers much useful information on bus matters throughout the UK but predominately on Stagecoach. 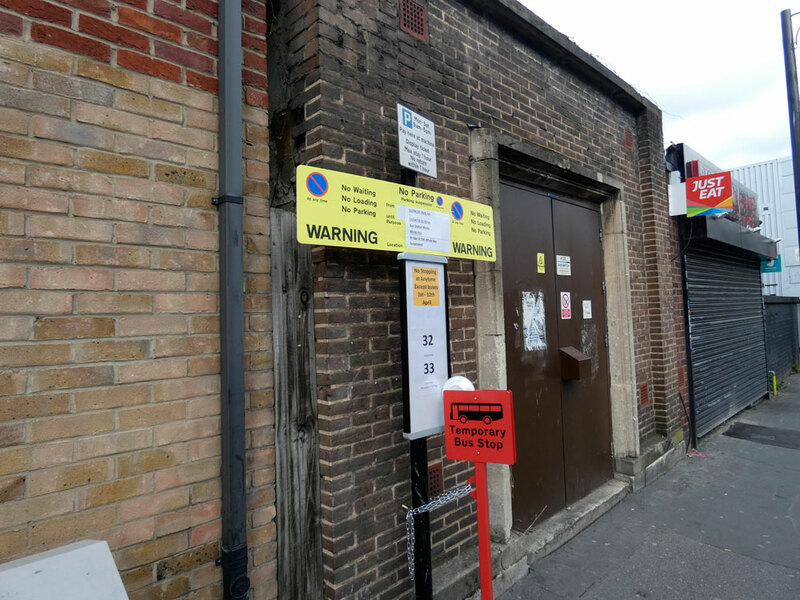 I felt that the contents of SKM's site would prove useful to many readers, including items such as monthly allocation lists for the whole of the UK. Quite a lot to report this week with fleet changes, and other such matters. However one of the main matters is that relating to the planned pedestrianisation of Queen Street in Oxford City Centre. After some very lovely spring days in the past week, as I write this Editorial the rain is coming down, good for the gardens but not so great for photography! 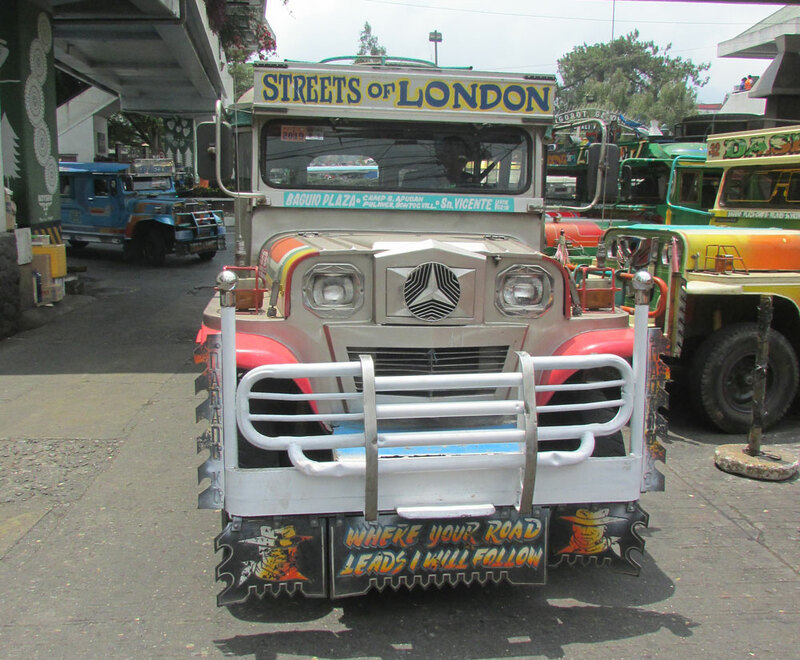 The web site https://bustimes.org/vehicles mentioned in an earlier issue has give much pleasure to a number of readers, indeed one or two have found themselves quite addicted to same! 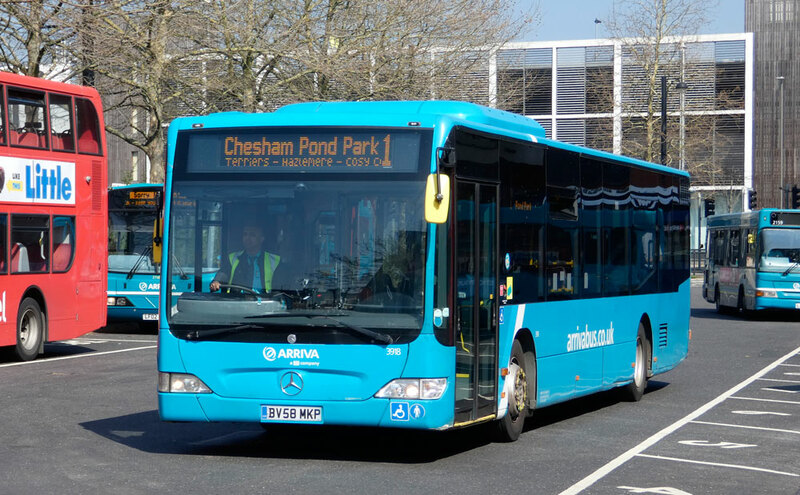 One disappointment has been the change in fleet numbers reported to what are seemingly ticket machine references on Arriva's buses in the Buckinghamshire and Oxford areas. It was a pleasure to hear from Bernard Lewendon who now lives in the Philippines and has contributed much about public transport in that faraway place! I must mention the work taking place on many local road under Bucks County Council, where new traffic islands and also bollards being installed to discourage parking. However one must question this work when the large holes continue to make driving or cycling unpleasant. Why aren't the holes being fixed? On Tuesday May 21st there will be the Annual General Meeting. 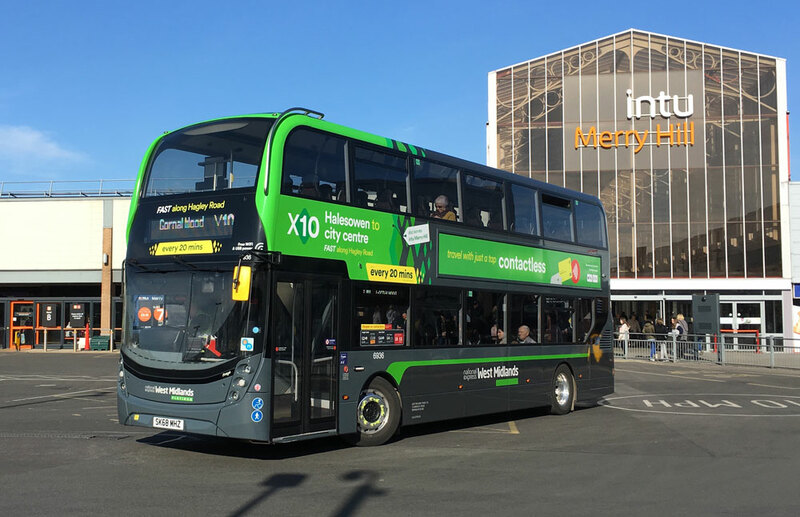 From April 1st to 10th local services 32 and 33 have been moved westbound to Oxford Road and eastbound to Bridge Street whilst work in the bus station is carried out. My pictures show this work with a westbound shot provided by Nigel Peach and the eastbound pictures by the Editor, Malcolm Crowe. Work on two bays being undertaken as seen on April 6th by Malcolm Crowe. Bay 14 where also work is ongoing, this being bay used by the Thame and National Express services. 2746 on a 32 service heading for Booker at the temporary stop in Oxford road on April 4th by Nigel Peach. The temporary stops in Bridge Street are for eastbound services. 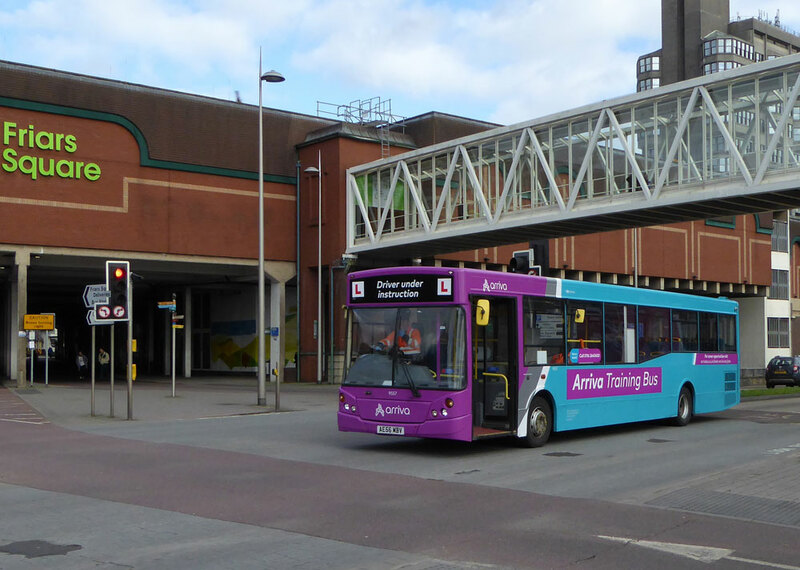 Citaro 3925 with an eastbound 32 service at the temporary stop in Bridge Street on April 6th by Malcolm Crowe. StreetLite 2328 with an eastbound 33 service at the temporary stop in Bridge Street on April 6th by Malcolm Crowe. Since 2010 Oxfordshire County Council has suffered wave after wave of HM Treasury austerity cuts. 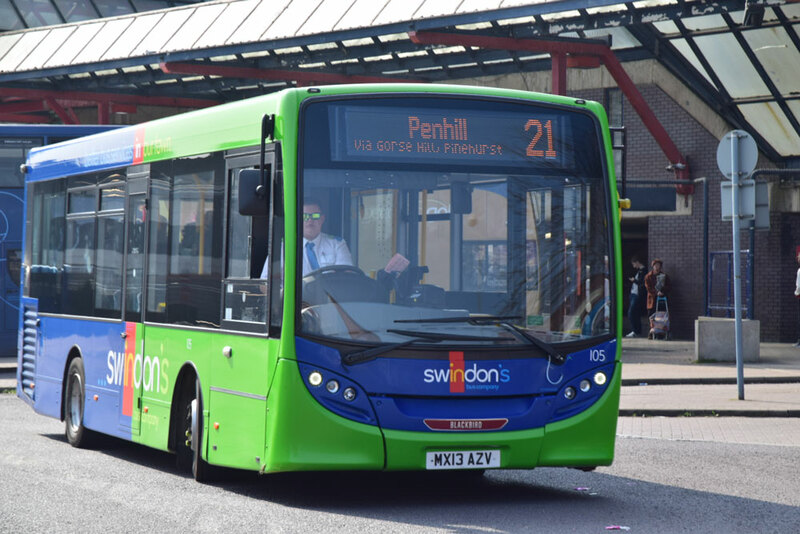 In July 2016 it notoriously became one of the first councils to end all bus subsidies. Yet it is determined to spend £1.47 million of your taxes to destroy a vital east-west bus link in central Oxford. OCC has repeatedly tried to ban buses from Queen Street for at least the last decade. Every time it has failed because it offered no viable alternative route for all buses to get from New Road to Carfax. Because there isn't one. Even the much-maligned Chris Grayling realised that. In November 2016 the "Oxford Mail" reported that OCC planned to spend £2 million to pedestrianise Queen Street. In February 2019 the same paper reported that OCC now hopes to do it for £1.2 million. But OCC's "Communities Capital Transport Programme" gives the budget as £1.47 million to be spread over the next two financial years. Either way it is a lot of money for a council that says it has no money at all to restore some of the services it used to provide. 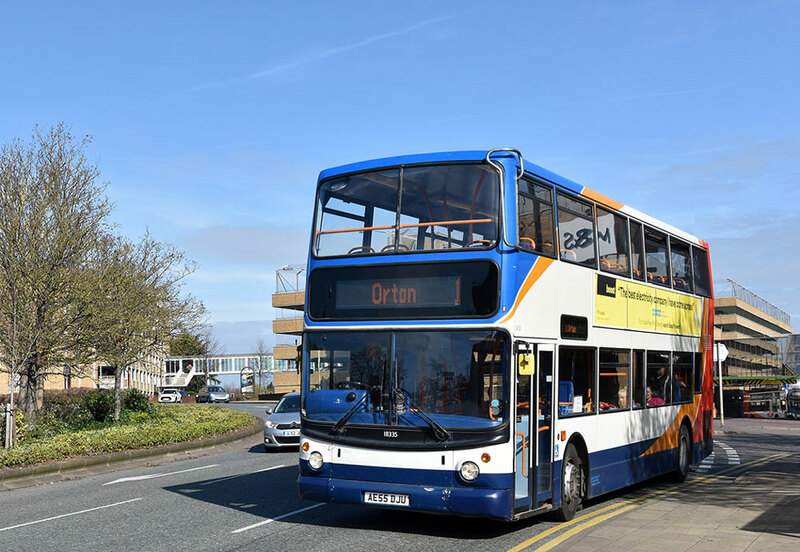 Lib Dem County Councillor John Howson sensibly says "I do think [OCC] should leave well alone - there have not been any accidents involving buses and pedestrians and if you take buses out of Queen Street it will mean more buses in St Aldate’s, which is already overloaded with buses and heavily polluted. 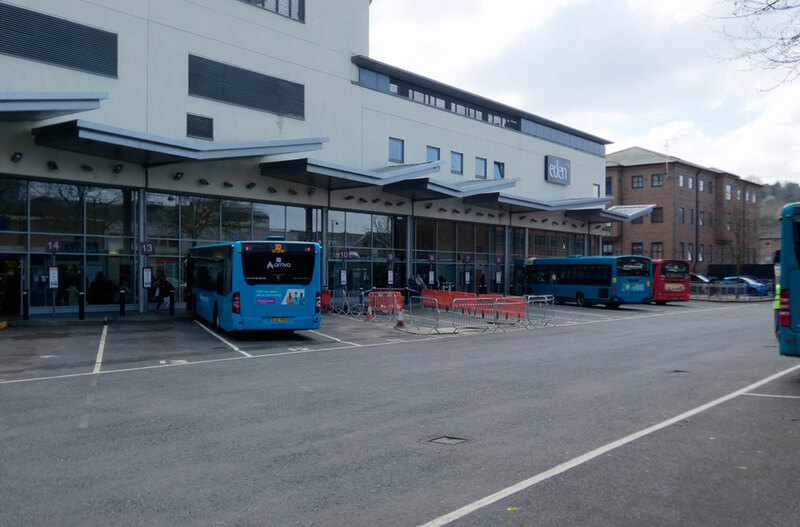 "I can’t see the Department for Transport allowing pedestrianisation to go ahead when the only advantage would be a bus-free frontage at the Westgate Centre." 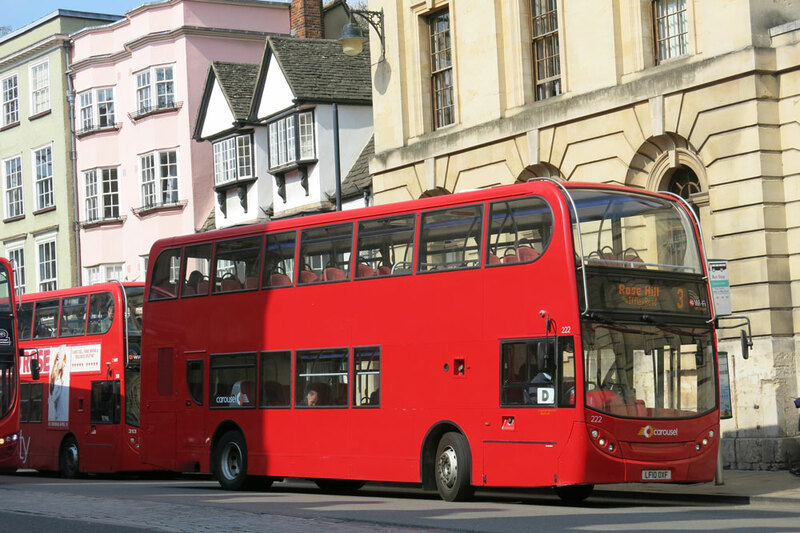 The Oxford branch of the National Pensioners' Convention also supports keeping buses in Queen Street. Branch secretary John Paine has written to Cabinet member Cllr Yvonne Constance to that effect. 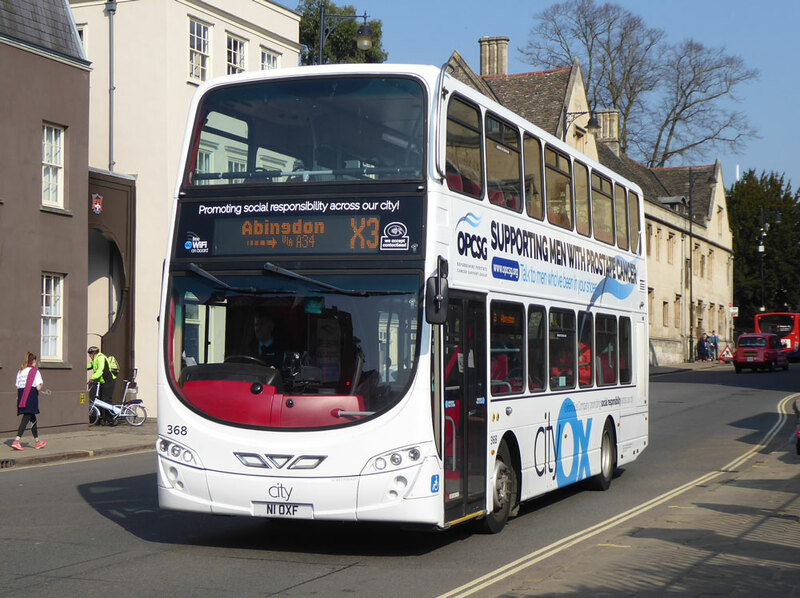 Since 2017 OCC has been monitoring buses and pedestrians and gathering data in Queen Street and other central Oxford streets. On Tuesday 2 April the full County Council will meet at County Hall. John Paine has tabled a question asking for the monitoring data to be published. He also asks about further public consultation about routing buses in central Oxford and whether they should be excluded from Queen Street. Buses in Queen Street are safe. 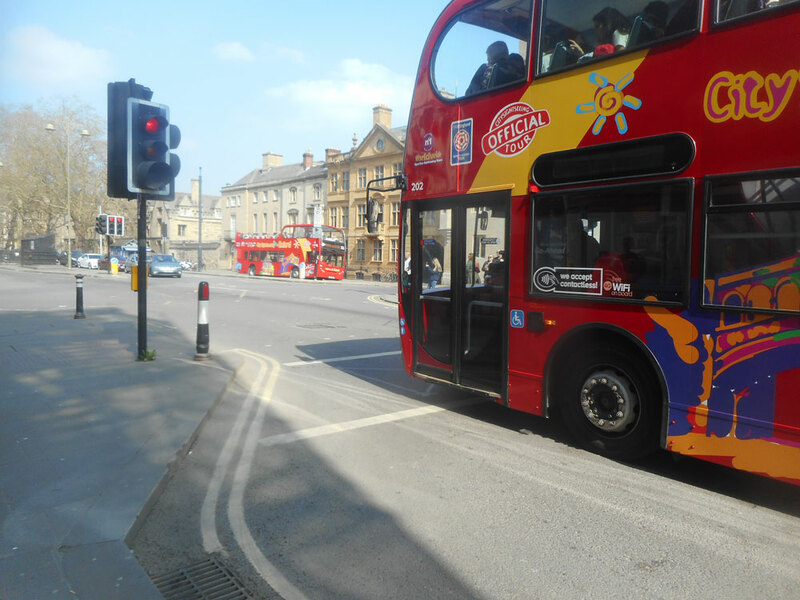 We know of no accident in which a bus seriously injured a pedestrian in Queen Street since the Oxford Transport Strategy was implemented about two decades ago. 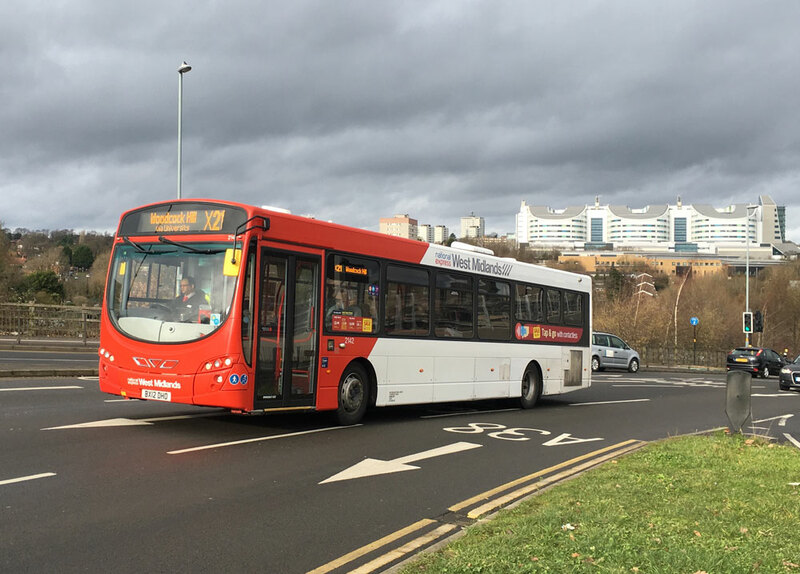 From Your Editor: It is difficult to imagine how, short of making a whole new link road from Castle Street through to St Aldates this problem and ambition can ever be resolved. Of course it is interesting that under plans published nearly 10 years ago a Bus Station was planned under the new shopping centre. 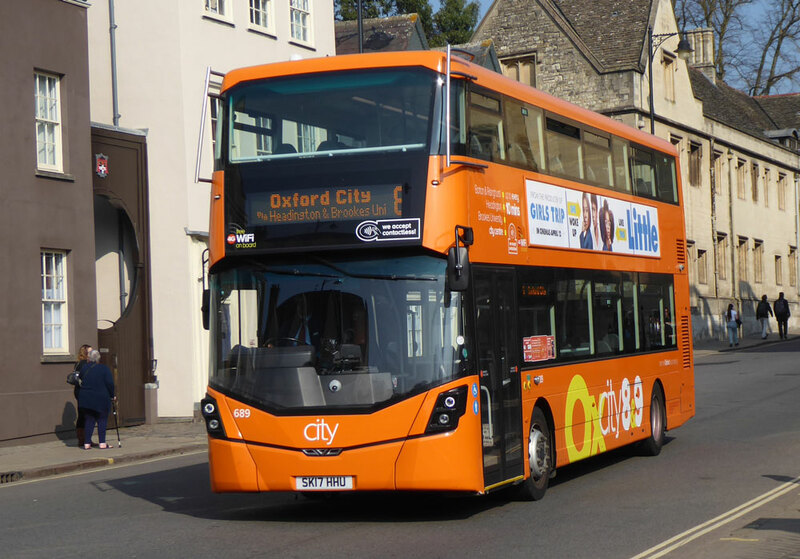 However this never happened and Oxford as an exception to many of the most important cities in the U.K. singularly fails to have a proper bus and coach station. 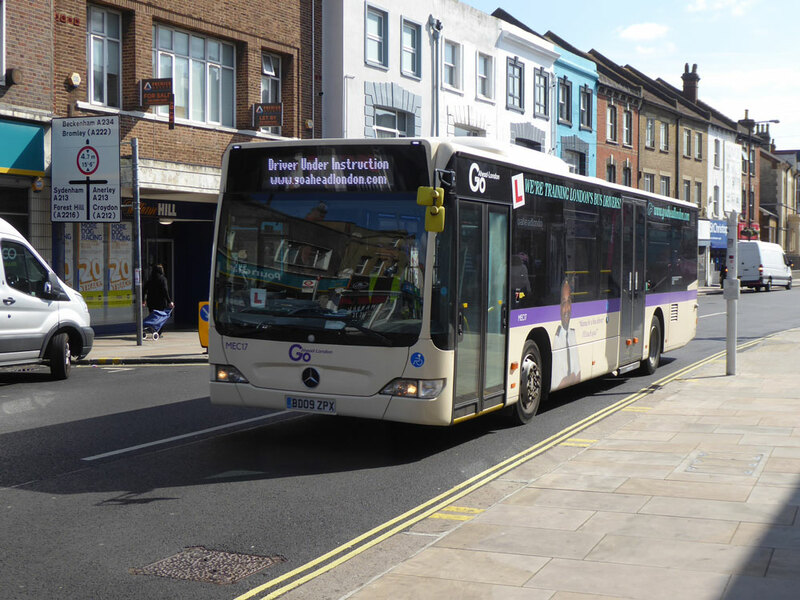 Gloucester Green is inadequate to offer a reasonable coach Station and a recent elderly visitor remarked on how dirty and unpleasant GG was, having arrived on an Oxford tube! "I read your latest update and would like to express my condolences about Ralph Adams' death. He certainly did have a lot of knowledge about buses - indeed you referred my queries which you were unable to answer to him- and he his e-mails to me often answered my question. My thoughts are with everyone who knew him at this sad time." 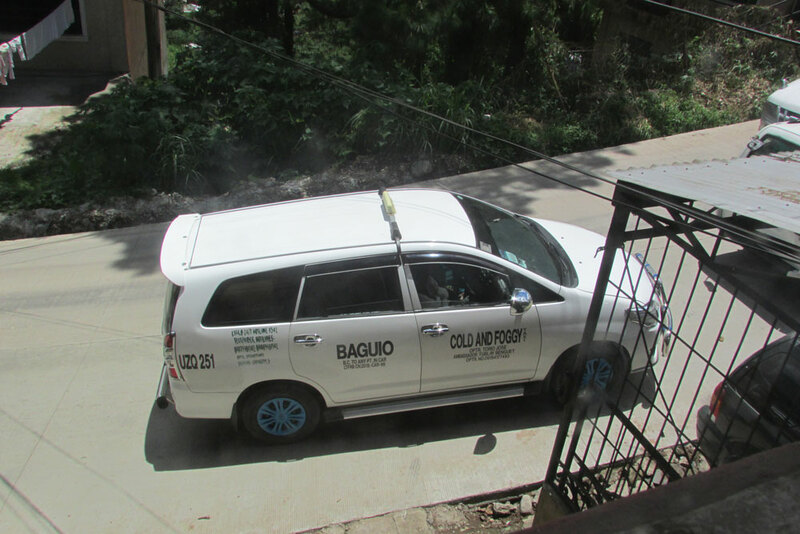 You will remember that I am here in the Philippines living in Baguio City. I thought you might like to have a few pictures..
To show the contrast the first three are of our famous (but terrible!) 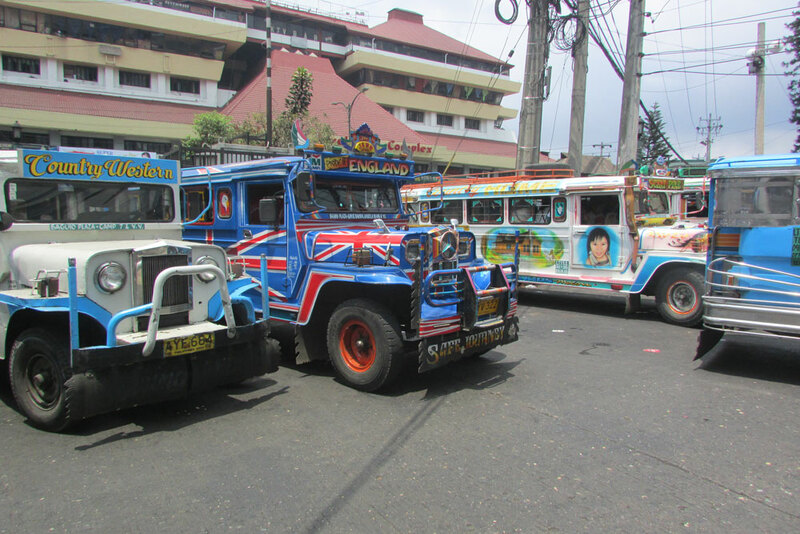 Jeepneys. 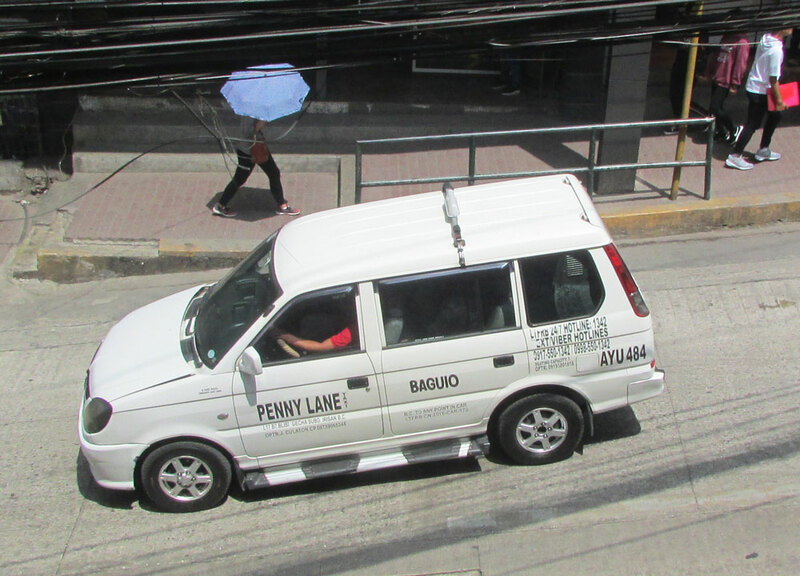 This sort of vehicle plus cheap taxis provide all the local public transport. 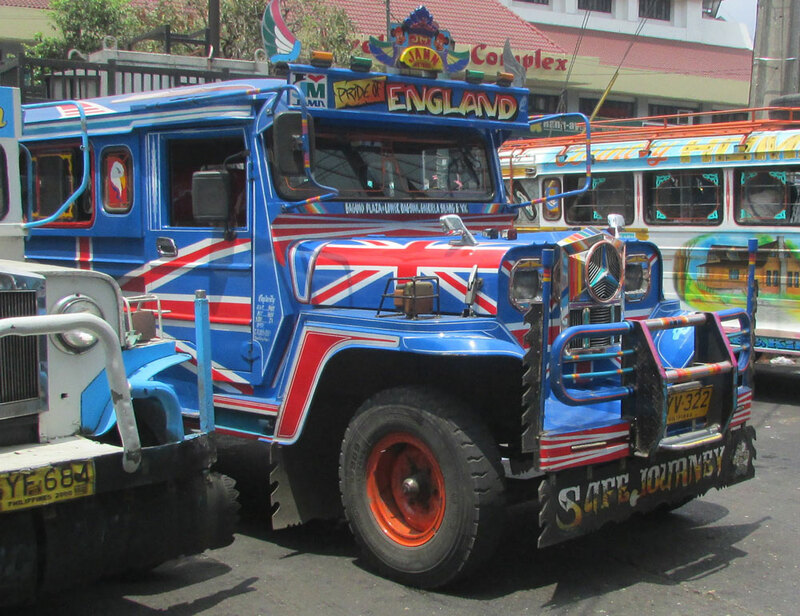 When they have wording that supports the United Kingdom, as on these examples, it usually means that a member of the owners family has worked there and has been able to provide the funds to buy the vehicle. 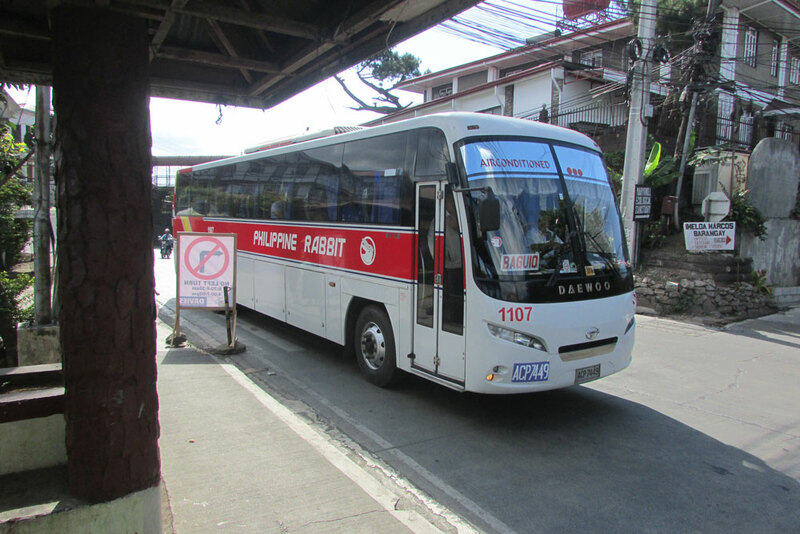 The services between here and Manila, 250 kilometres, needs a large number of vehicles and on weekdays there are something like 15 an hour passing each way and at weekends many more. They re all modern and are kept in remarkably "as new" condition. 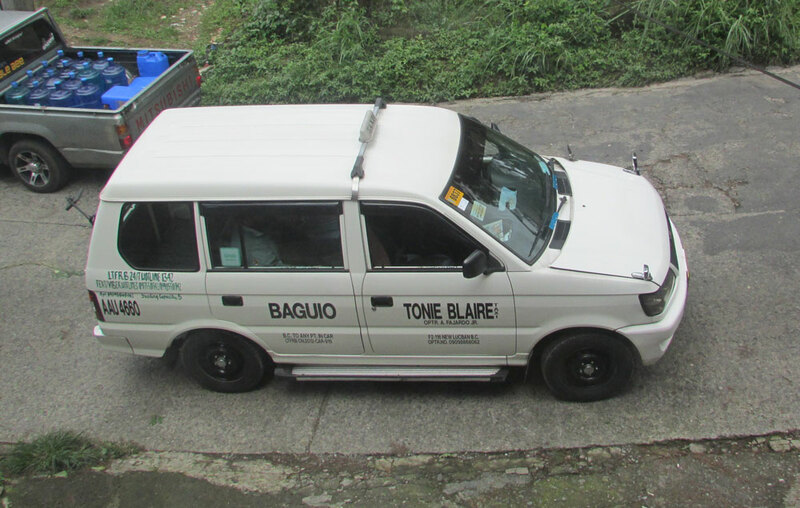 The Philippine Rabbit is a Daewoo and the Solid North is a Chinese Yutong. They show the contrast between local and long-distance transport. As can be seen on the latter even the most modern vehicles have no doors or any form of emergency exit on the off-side. What was once a Japanese stronghold is now rapidly become a market for various Chinese makes. I wanted to show the contrast between the local transport and the long distance coaches, The first being 75 or more years old and unbelievably uncomfortable and for older people just getting in can be a problem, You climb up high steps at the back and then sit side by side squeezed in and with shoulders touching. They have longitudinal seats to cram in the maximum number of passengers. In contrast, the coaches are all less than 15 years old and are maintained in a spotless condition so they look like new. The coaches all have a conductor (always male) who collects the fares if you have not pre-booked and he will help with luggage stored in the hold. To me the taxis are interesting. Each owner chooses a name that is on the doors of any that he or she owns. I will attach a few to show you but I guess you will not find them interesting enough to show to your readers. Don't want to degrade your excellent magazine! You will notice in the Penny Lane picture the lady in the background is using an umbrella. This is a common practice here as Filipinos just don't like the sun. They even use their umbrellas sometimes when it is cloudy! The third and fourth pictures were taken from our living room window which is on the first floor. Good to hear from you. I read your latest edition every week. Indeed good to hear from Bernard and I hope many of you find this interesting? 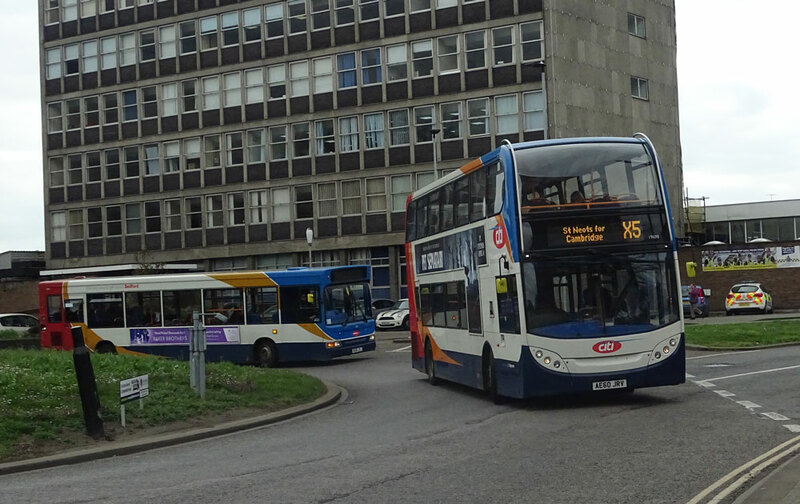 Paul Bateson writes: "In the next edition, please pass on my apologies for labelling my picture of Thames Valley 634 in Issue 51 as being in Newbury when in fact was Bracknell. The problem is I labelled the picture from memory rather than checking my record card from that day. Sorry! I have corrected my flickr site. JRX 817 that was also published still exists in Canada. It has been in Adolphustown Township, Ontario for many years but it has not moved for a long time. It had been converted to a motor home. It is located about 120 miles east of where I live but I hope to check on it in June. A couple of pictures taken in 2006 attached." When with Thames Valley in 1958, JRX817, was in Adolphustown Township late in 2006. This week Paul has provided some interesting pictures from slightly more recent times plus one relating to a picture shown in issue 51. 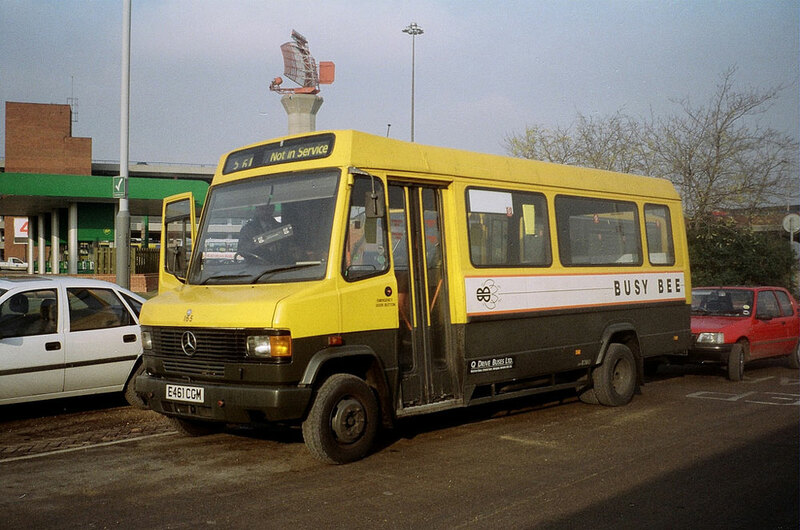 BeeLine Buses made quite an impact with their yellow livery seen here in 1993 on E461CGM at Heathrow on October 23rd 1993. And again on E982DNK, a Metrorider again at Heathrow on the same date. I was told that the yellow was taken from the Dutch bus yellow at the time. 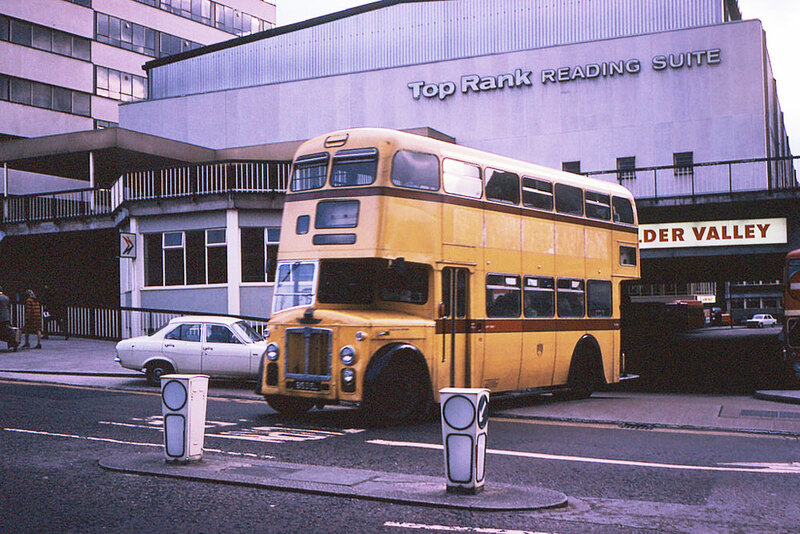 Ex Bournemouth Leyland PD3 two door MCW seen leaving Reading Bus Station on October 29th 1974. 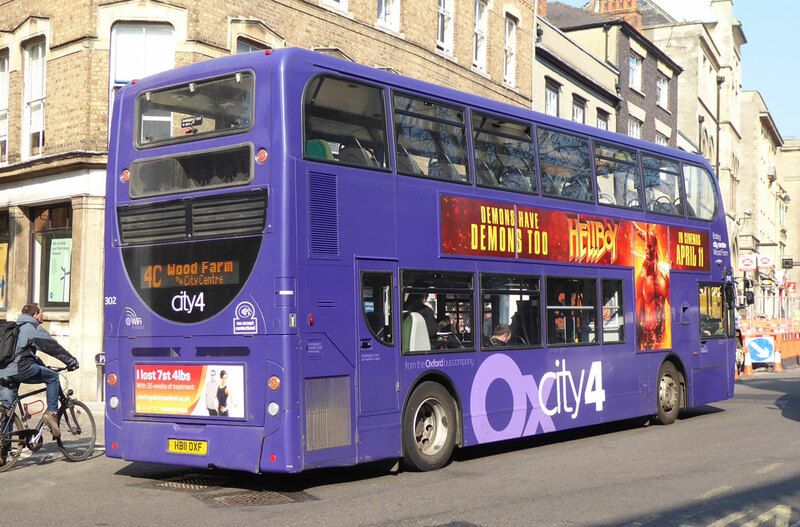 Does anyone know the background to this bus being at Reading? Newbury Buses 213 E468CGM at the then bus station on May 4th 1993. The seated lady looks interesting in Paul and his camera. 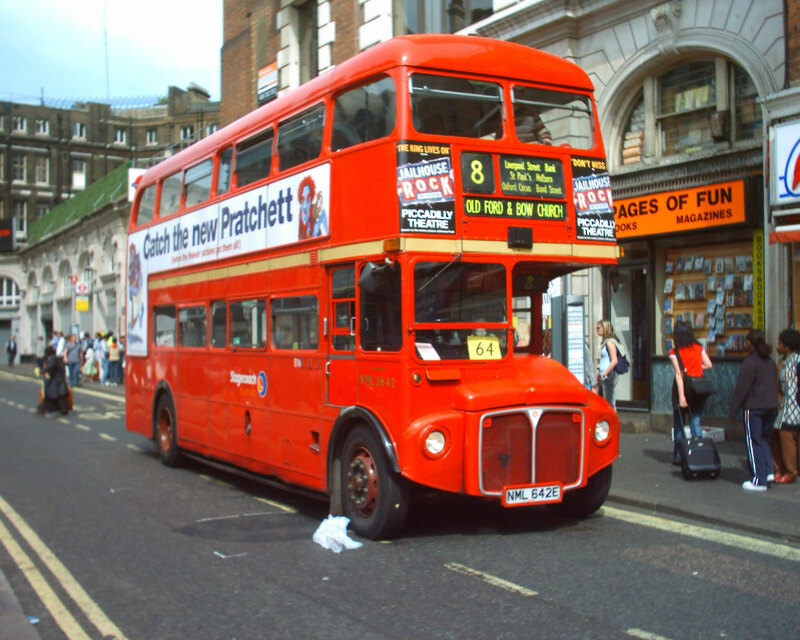 These little buses were quite popular around this time but I think none has made into preservation? Newbury Buses 214 D939KNW is seen in the layover area on the same date as above. A Dennis/NCME decker, Thamesdown's 68 B68GHR laying over between trips at Newbury on the 46 Swindon service on May 4th 1993. In Oxford, Thames Transit's 306 E306BWL with a service 30 to Abingdon on May 4th 1993. Sometimes matters can happen quickly as seen by the Routemaster above, first in London and then in Canada. 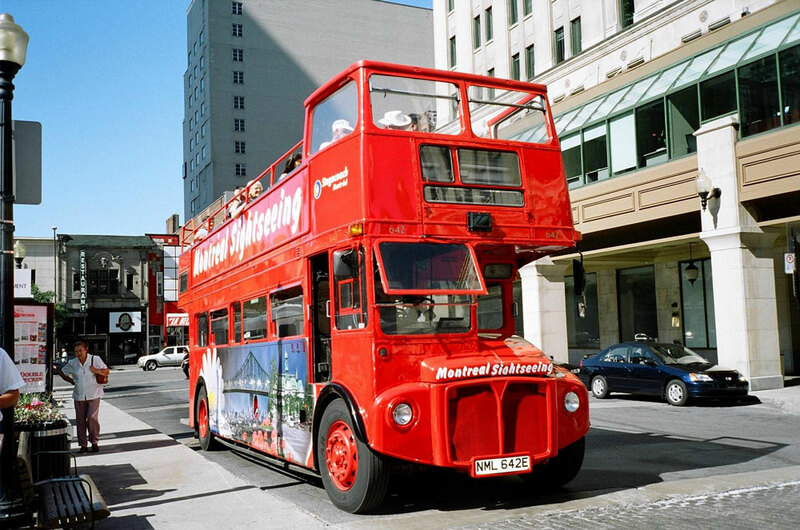 RML2642 with a number 8 at Victoria on May 30th 2004 and then in Canada, Dorchester Square, Montreal on August 7th 2005. As promised, here is an update of the ongoing at NXWM, as usual just a selection and in reality a lot more than I can show is going on, in terms of vehicle transfers and branding changes etc. 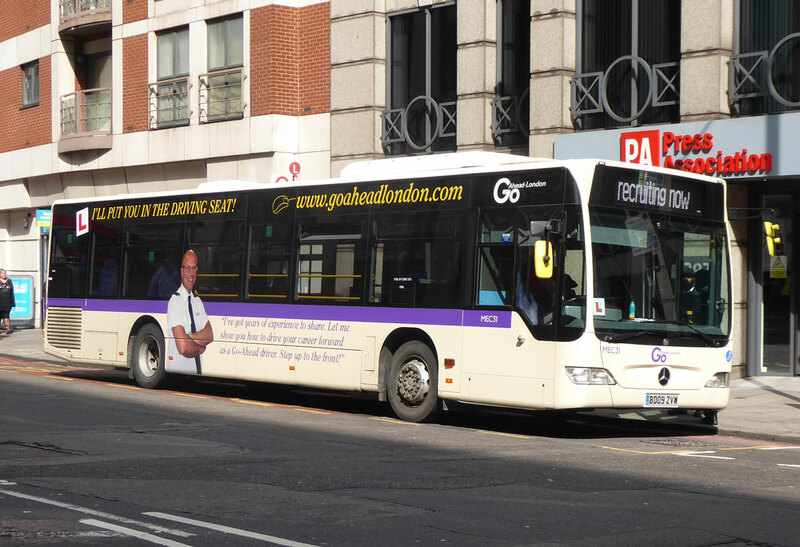 Also, with a heavy heart I report to your readers that Igo Buses / Accessible Transport Group went into administration last week. The Ring & Ride minibus services have been saved by the Council I understand, and the bus routes are slowly being retendered. More update on this in my next update, hopefully by then I will be able to provide some comparisons. 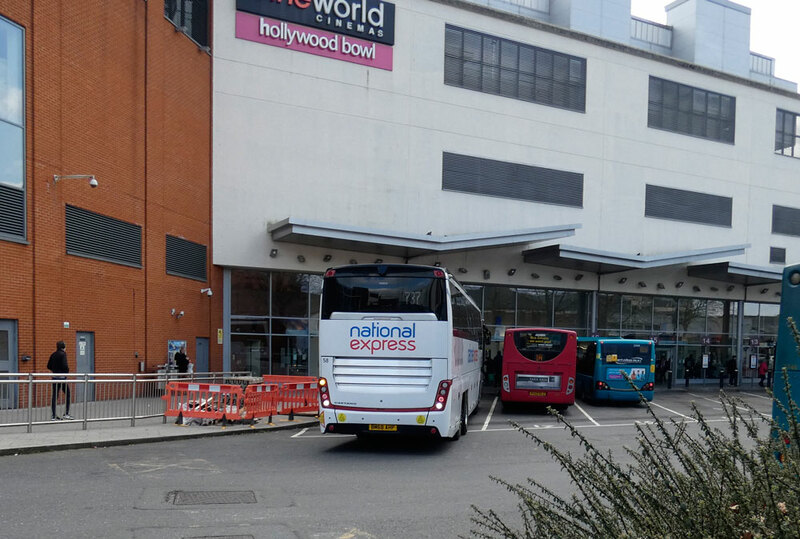 2142, one of Birmingham Centrals small number of Volvo B7RLEs is pictured passing Selly Oaks new retail park, with an X21 to Woodcock Hill, with the iconic Queen Elizabeth Hospital dominating the background. Platinums return to Frankley - 6827 and 6891 await departures on Bristol Road trunk services 63 to Birmingham, carrying the two variations of generic Platinum branding. 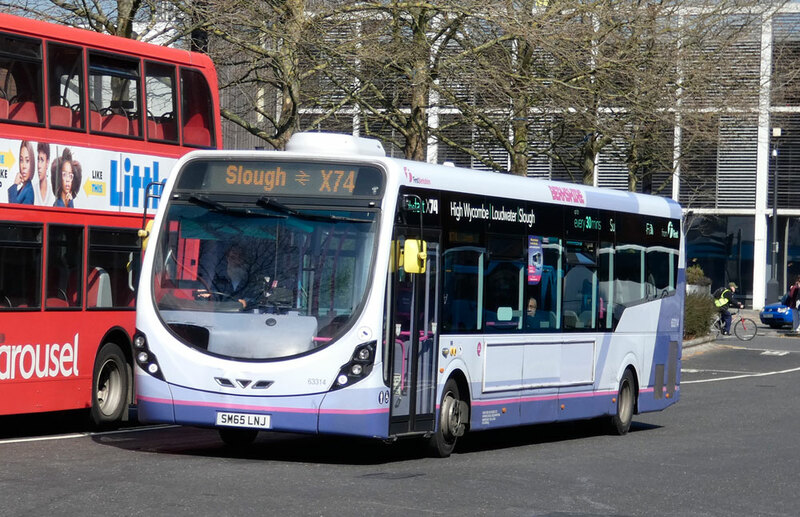 Route X61 was ‘deplatinumised’ last year, with a frequency and route change introduced. 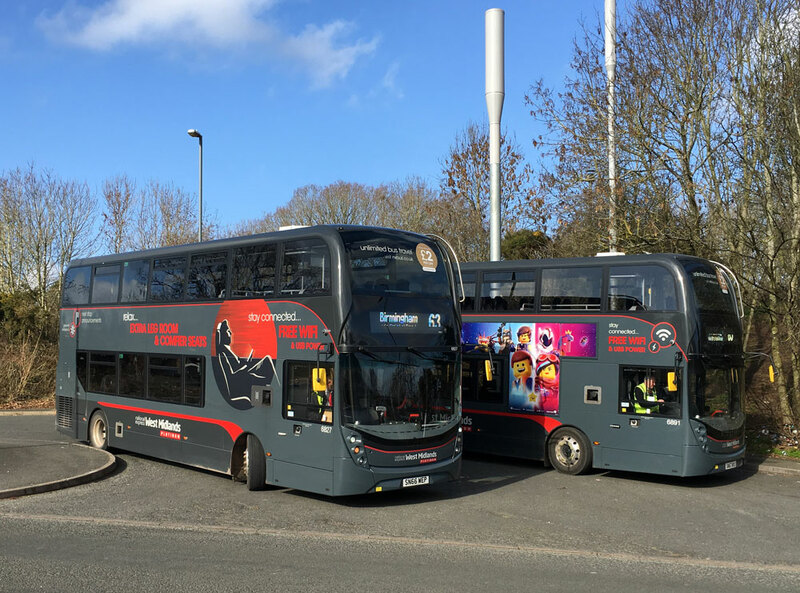 These vehicles are now common on both the 61 and 63, with more spares available than what is needed for routes 23, 24, X1, X2, X20, X22 and technically the X21/X70, though these two don’t actually see Platinum use despite being advertised as such. 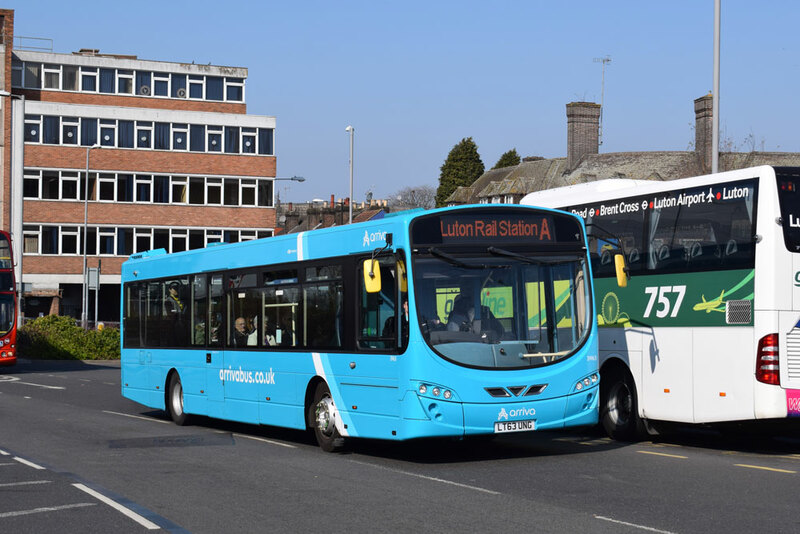 During my last update almost 2 months ago now, I spoke of the first Gemini’s being introduced to the lengthy 48, 4529 is one of many that now make up the majority of the routes allocation. Note this is one of a small number of Crimson Gemini’s based at West Bromwich - pictured departing Northfield. 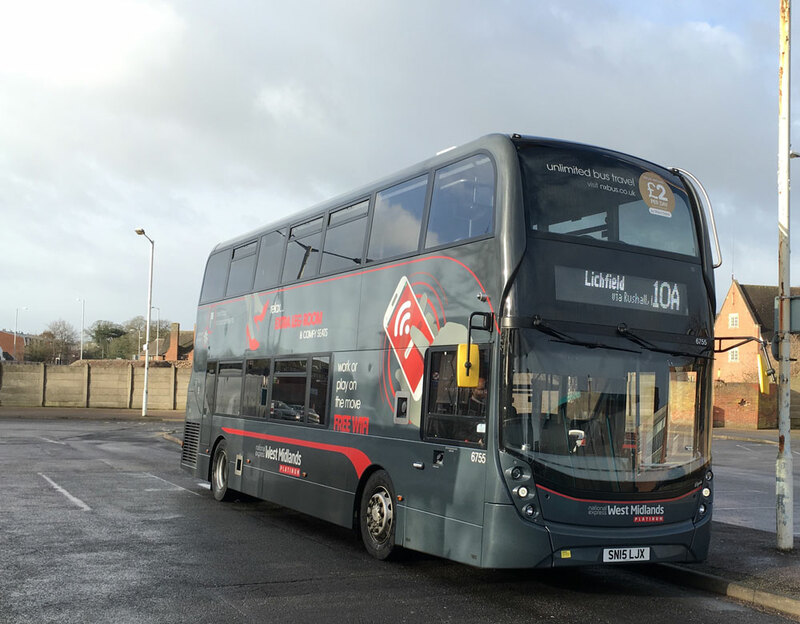 Route X10 is by far my favourite of the new Platinum brandings, featuring a very bright and attractive style, that really brightens up the grey on a dull day, making photos a lot easier than the Coventry batch. This is 6936 turning around at Merry Hill Centre, with the hourly Gornal Wood extension, framed perfectly in low winter sun. 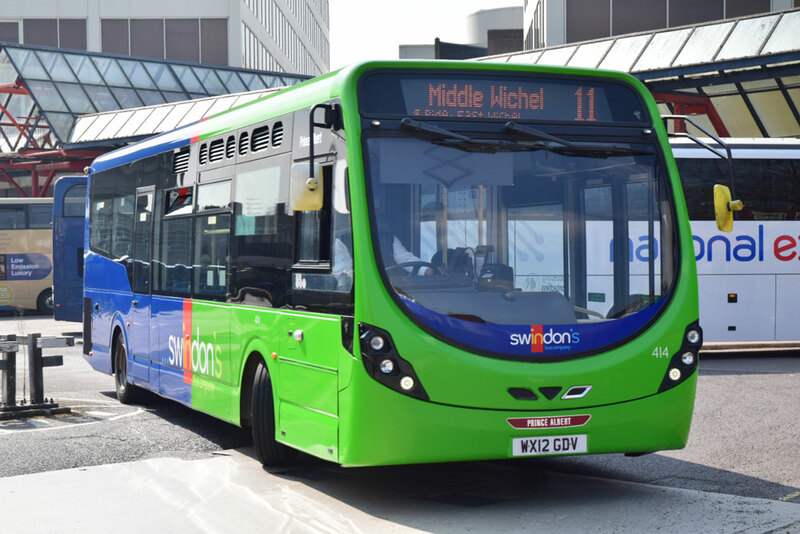 731 is the only of the shorter length Enviro 200s currently in the new livery. 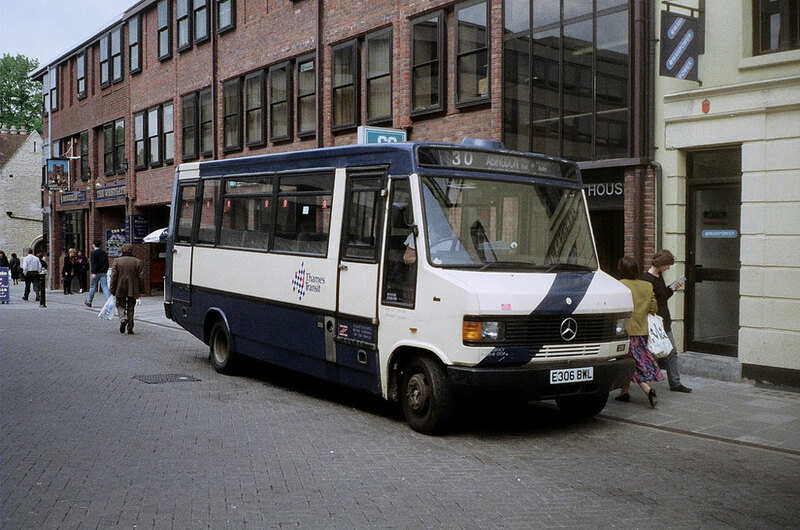 It was new to Weavaway and passed with 3 others to National Express, originally for use at Dundee. After a spell at Perry Barr, it was repainted into Xplore Dundee’s new green livery, only to see no return to service, and was moved to Pensnett for their uptake of Route 28 from Diamond. Here it is at Merry Hill. 6119 has only just moved over to Acocks Green from Pensnett for the Outer Circle. 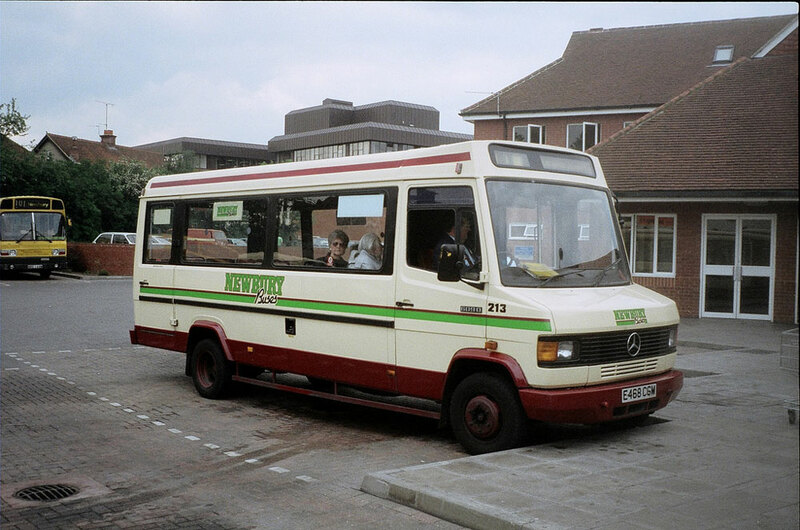 Here I pictured it near Lapal, Halesowen, with a 14 to Dudley. Now just 6101-10 remain for routes 14 and 126, though see appearances on the 9 still. 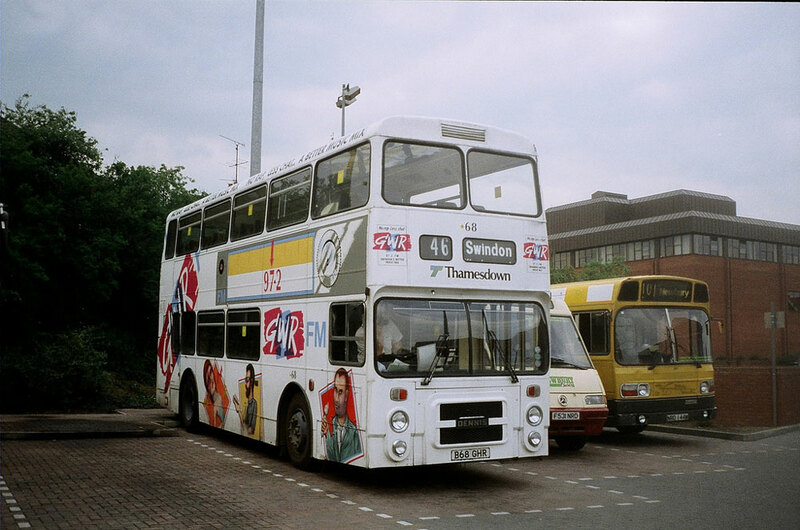 The above two images show newly repainted Volvo B7TL 4651, now resplendent in Birmingham City Transport livery. 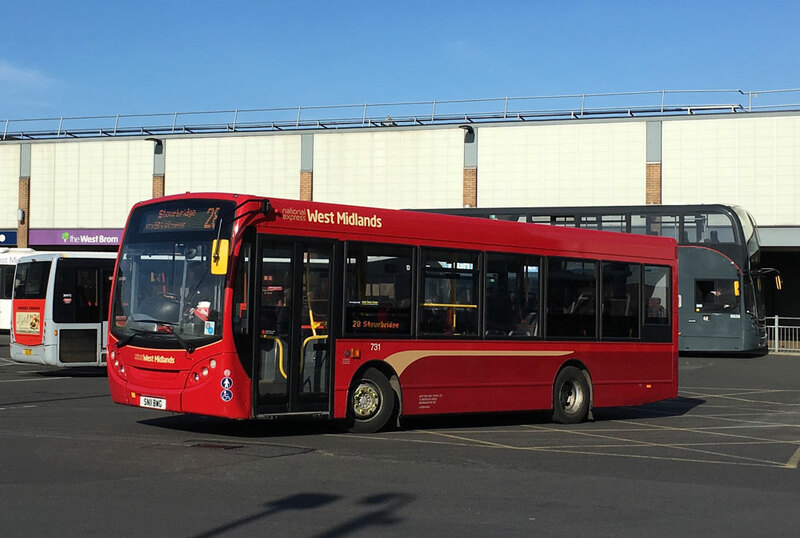 This follows WM ‘Dual Purpose’ Volvo B7RLE 2102, Wolverhampton Trident 4535, Walsall Trident 4601, and Coventry Trident 4453, with Volvo B7TL 4679 currently being done in a West Bromwich heritage livery. 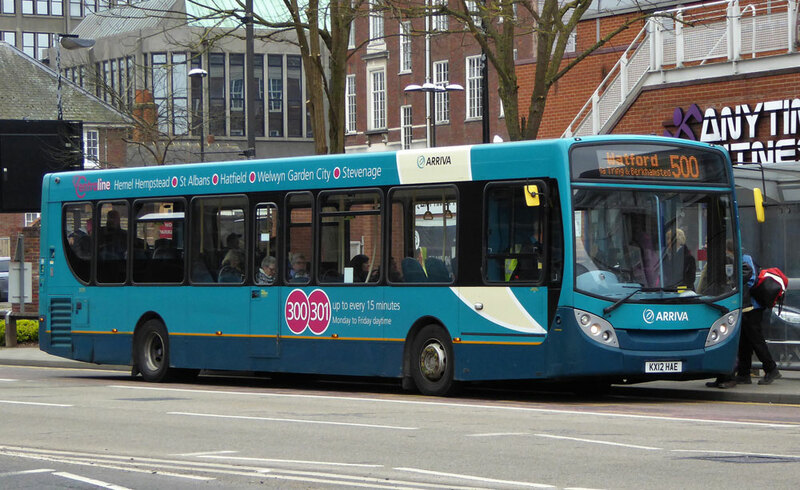 Pictured on route 4 in Birmingham City Centre, with a Solihull Station bound service. 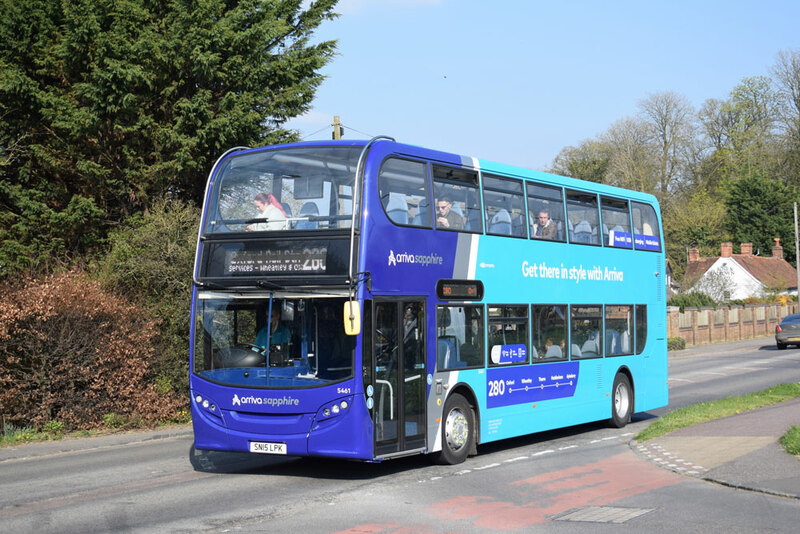 Route 51 has received new blue branding, in line with the green 33 it operates alongside. This is 4860 in Birmingham, loading for Walsall. 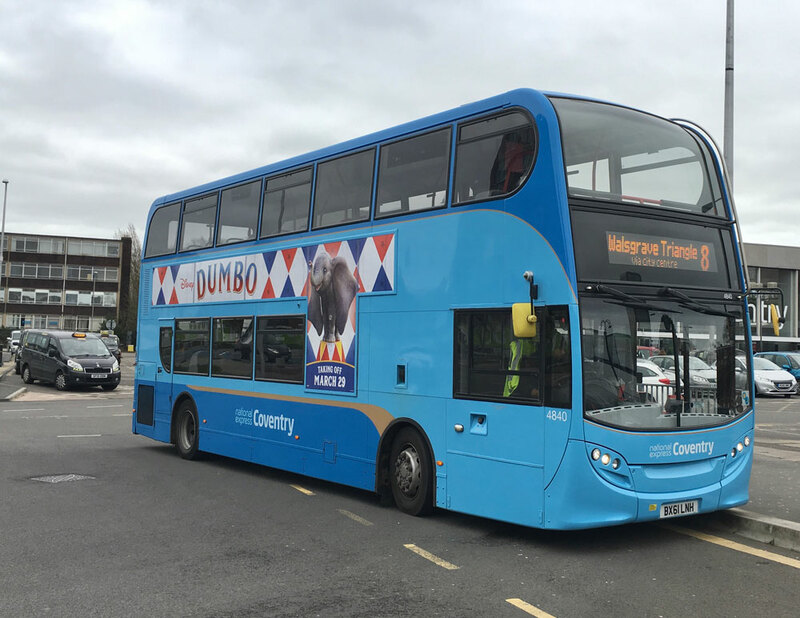 Not my best photo, but this is the new Coventry Platinum branding, which does little to brighten up an already dull livery on a dull day ! 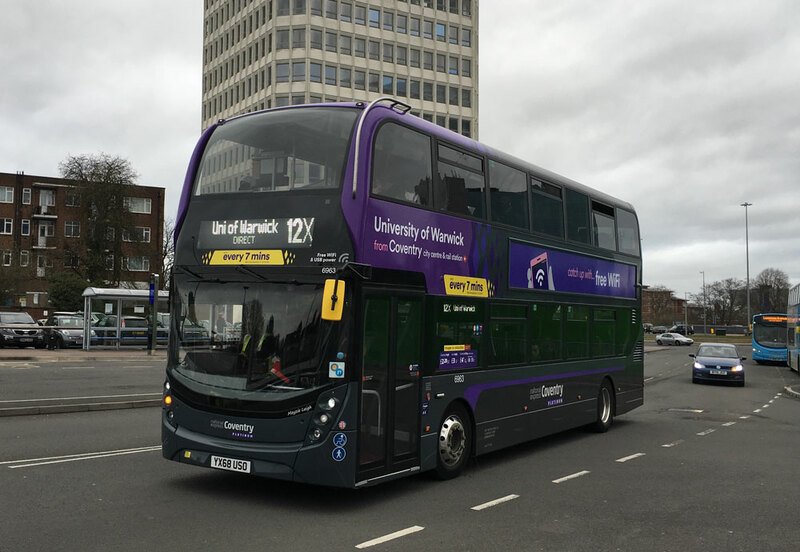 6963 pulls into Coventry Station with a 12X for University of Warwick. Not all of the batch are branded, I will supply better photos of these at a later date! Don’t think I have ever sent in any Coventry photos! 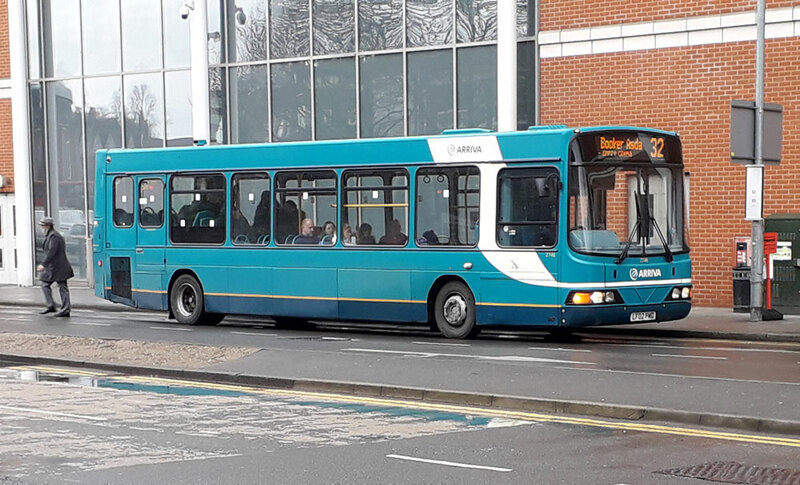 This is 4840 at Coventry Station, working an 8 to Walsgrave Triangle, demonstrating their very smart blue version of the main West Midlands livery. Personally I prefer this as it photos better, and is overall a brighter livery to admire. Very many thanks to Dylan who always provides great descriptions for his pictures. This certainly makes my life easier. Also I hope they may encourage readers to take a look around the West Midlands if they don't live in that area. I worked in Birmingham for five years, a time which was most enjoyable. 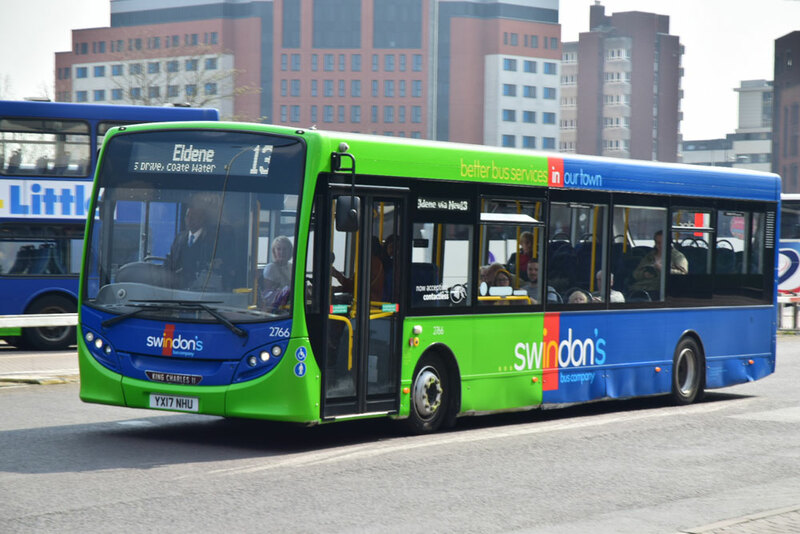 Luke Braham advises that "Enviro400 5461 SN15LPK had returned from repaint into the latest version of Sapphire livery by March 25th. 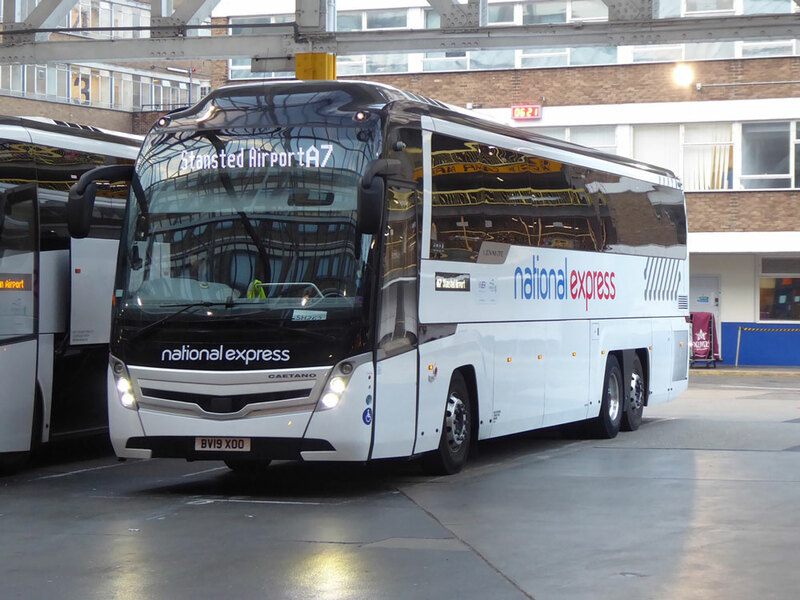 Sister 5467 SN15LPX is currently away for repaint. 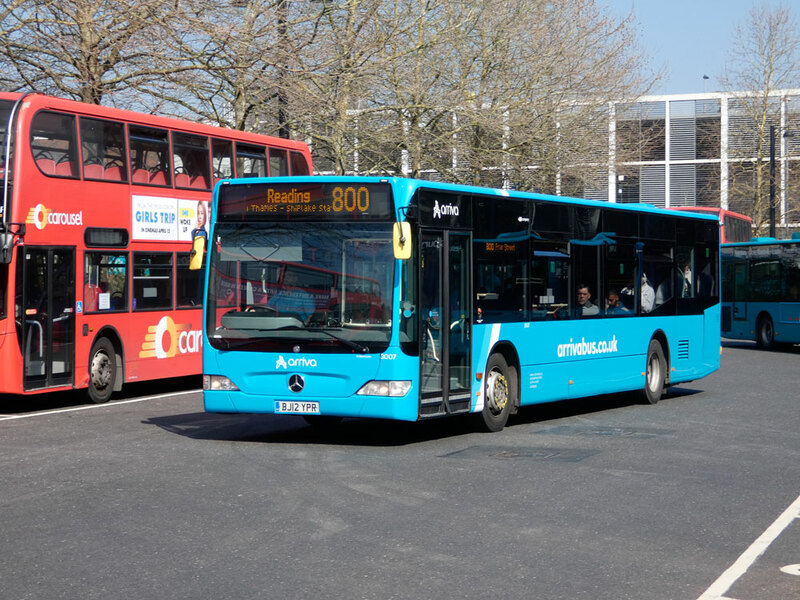 Monday to Saturday operation of route 150 (Aylesbury to Milton Keynes) will pass to Milton Keynes depot from April 1st. I am told that it will still be operated by Aylesbury depot on Sundays. Lowlander 4722 PN52XBG has transferred from Aylesbury to Milton Keynes for this. 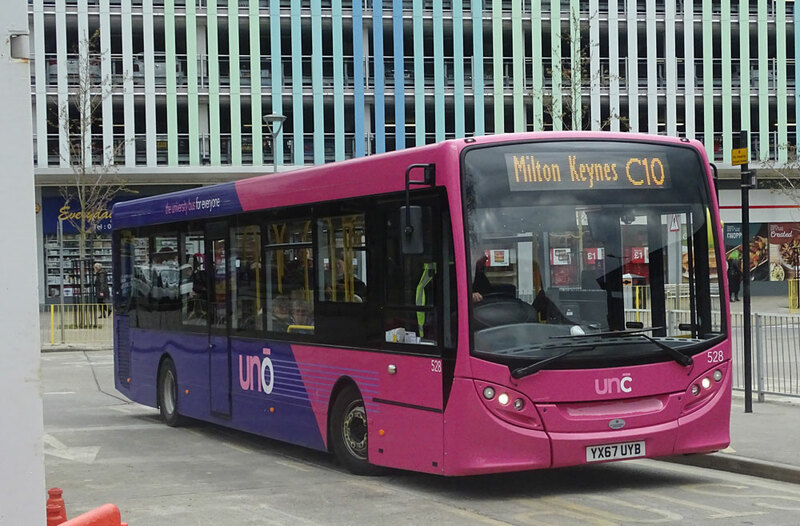 It is likely two other buses will join it at Milton Keynes shortly. Wright Eclipse 2 3963 LT63UNG has recently returned to service at Luton and has also been repainted into the latest version of fleet livery. 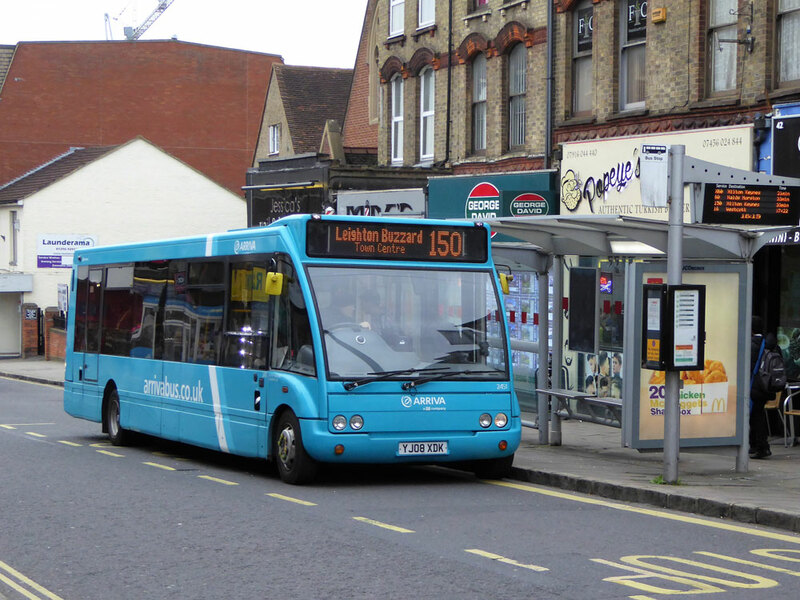 On the March 29th, Enviro400 5469 SN15LPZ was spotted operating route 150 in Leighton Buzzard before being reallocated to the 280. 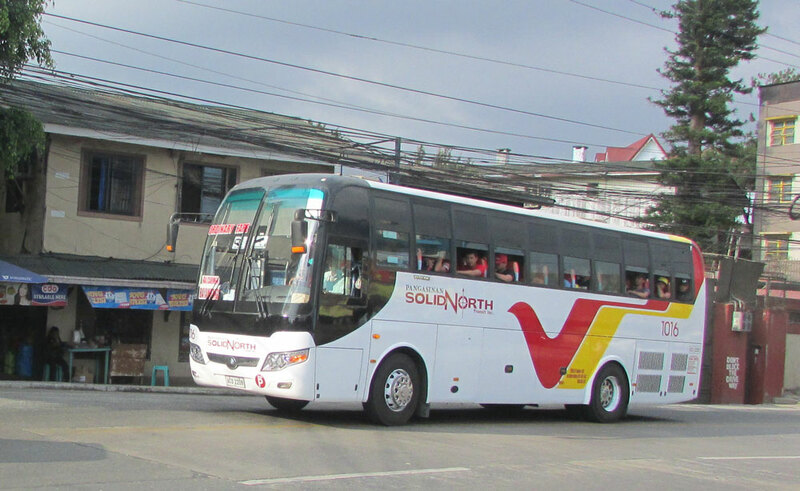 Later on the same day, sister 5461 SN15LPK was also spotted just outside Wing operating route 150. 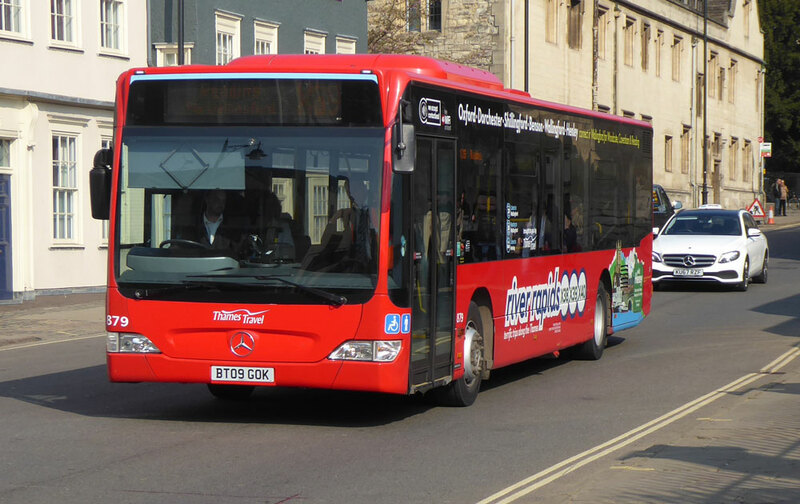 It isn’t too common for these Enviro400s to be spotted on the 150 due to a low bridge at Linslade. Wright Pulsar Gemini 6047 LJ04LGV was transferred to Aylesbury depot from Hemel Hempstead on March 29th with it being joined by sisters 6042 LJ04LDD, 6044 LJ04LFW and 6049 LJ04LGX on March 29th . 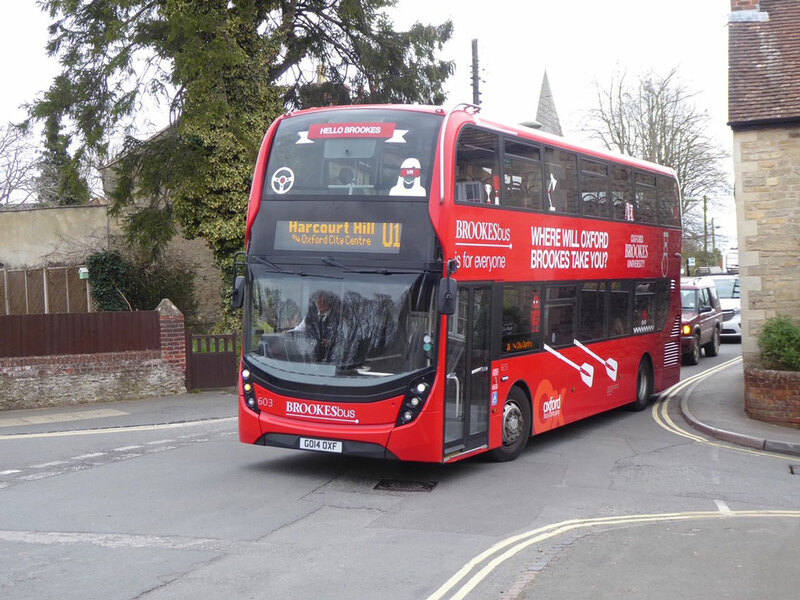 This was in preparation for Aylesbury depot to take over all of the workings on route 500 (Aylesbury to Watford) from April 1st 6047 was put straight into service at Aylesbury on the 30th being spotted operating route 9. 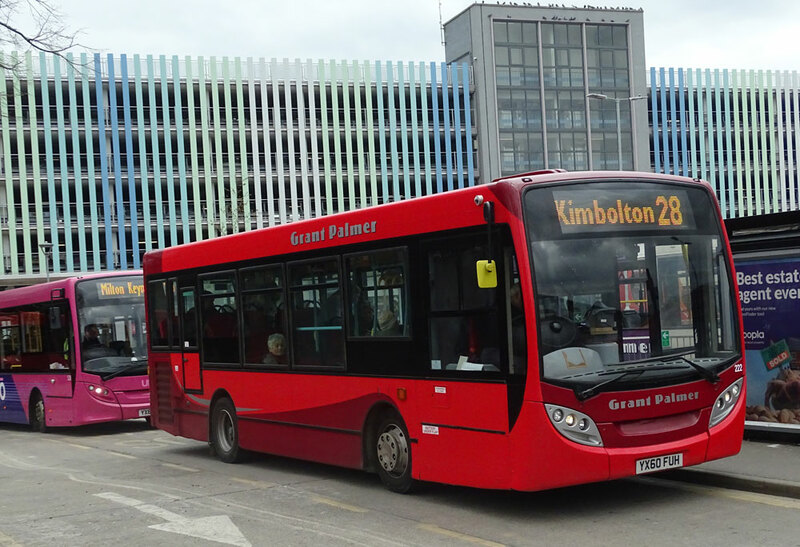 "Like the previously repainted Enviro 400’s you may have already been inundated! 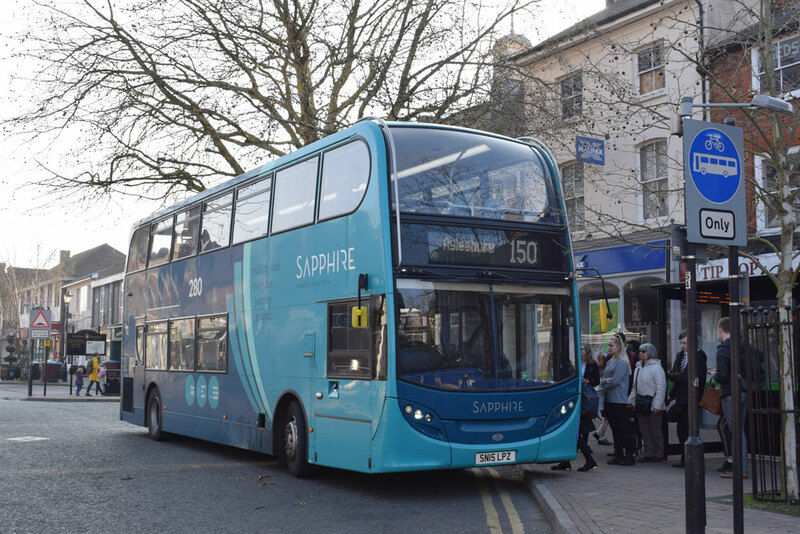 I saw this today 5461 repainted in latest sapphire livery, caught in Aylesbury High Street working service 150, I attempted another shot later but light levels had gone plus a parked vehicle restricted options but included none the less. Bus livery 5459 leaves Aylesbury on the 280 16/3/19. 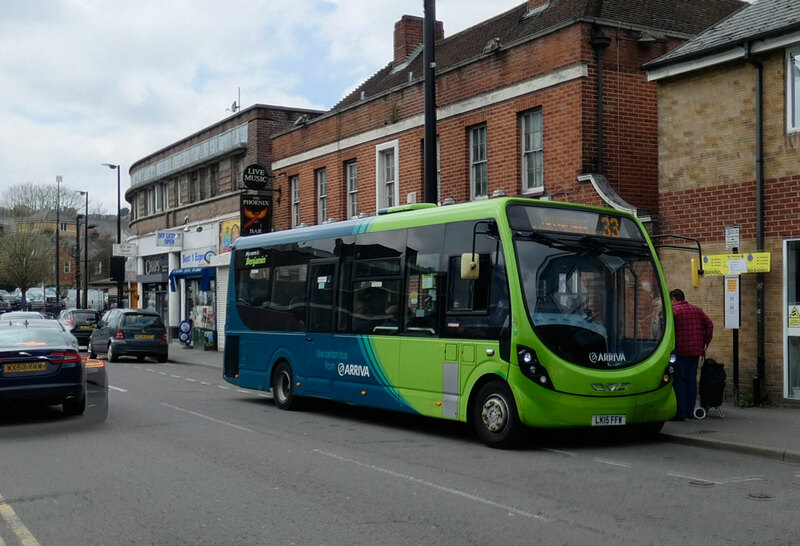 3579 KX12HAE Enviro 300 working Service 500 in Exchange Street Aylesbury despite wearing 300/301 branding. 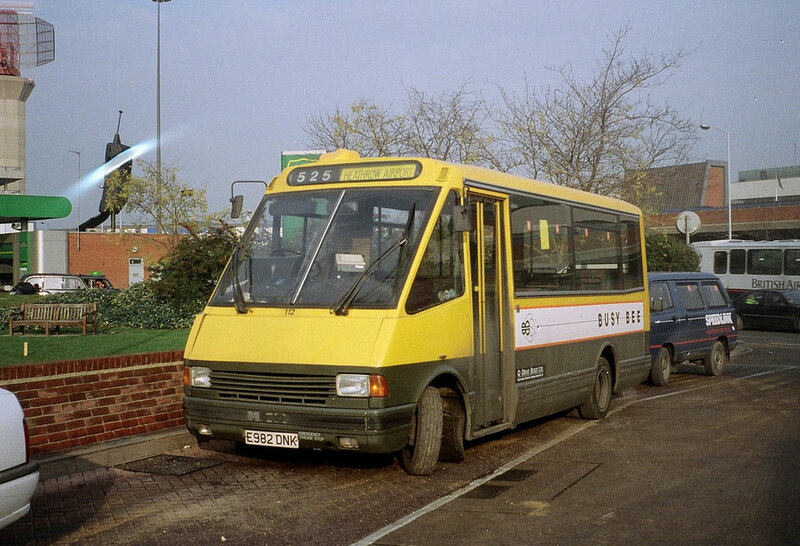 Ironically the 500 route used to be numbered 301 until October 1986! I happened to see it caught up in one of Aylesbury’s traffic jams, so positioned myself in the high street hoping it would stop long enough to pick up at the stop, unfortunately there was nobody at the stop, so couldn’t compose shot how I would have liked with the camera on me. Tony has provided pictures of the event at Detling which will be included in the next issue, nr. 54. 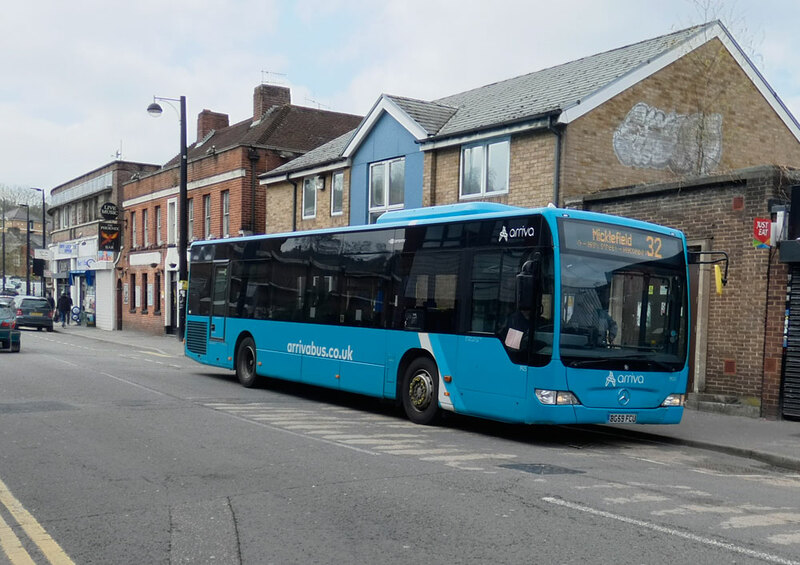 "Arriva has repainted at least two of the Enviro400s on route 280. They are now in standard non-Sapphire livery, and one has stickers advertising fares pointlessly stuck over some of its windows. One for Ray Stenning's "Save Our Windows" campaign! 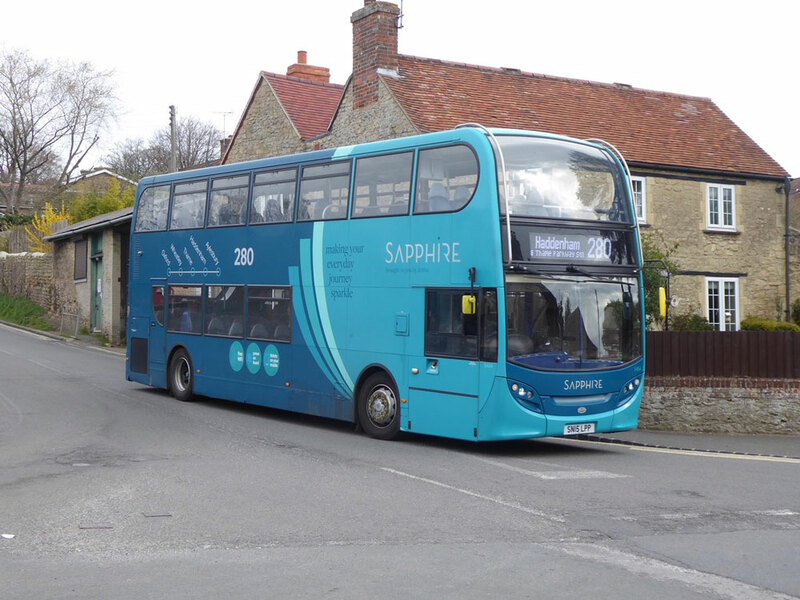 I have seen one Enviro400 on the route in the new Sapphire livery. 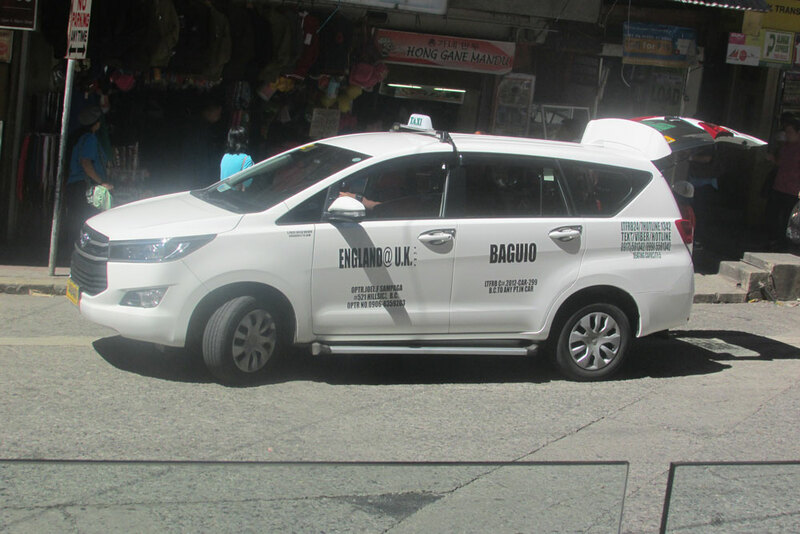 I did not see its registration mark or fleet number, so I do not know if it is one of the batch usually allocated to the route. 3007 on the 800, 3617 on the 32 and 3918 on the 1 all taken on March 29th by Malcolm Crowe. 3797 and 5464 both on the 280 when seen in Wheatley by Gavin Francis on March 29th. A picture of interest in London by Gavin Francis. 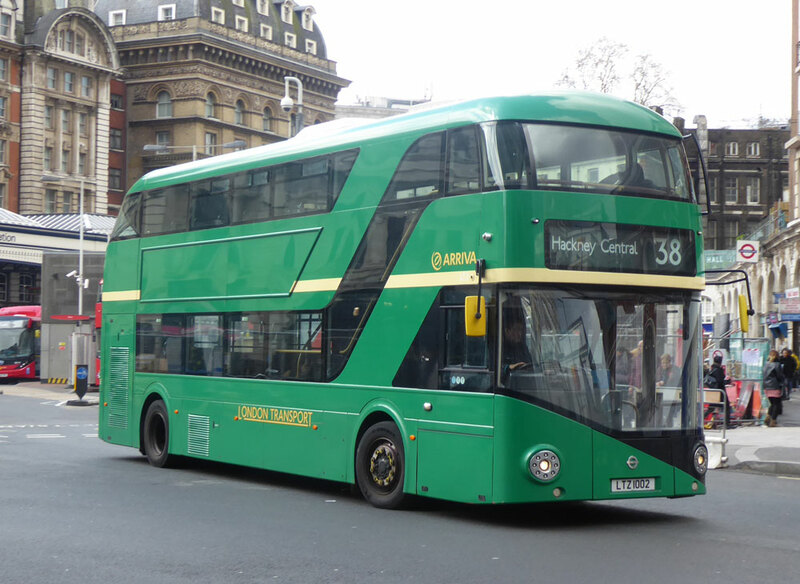 Still in demonstrator green and looking like a modern bus from the past, LT2 works the 38 from Victoria on April 3rd by Gavin Francis. 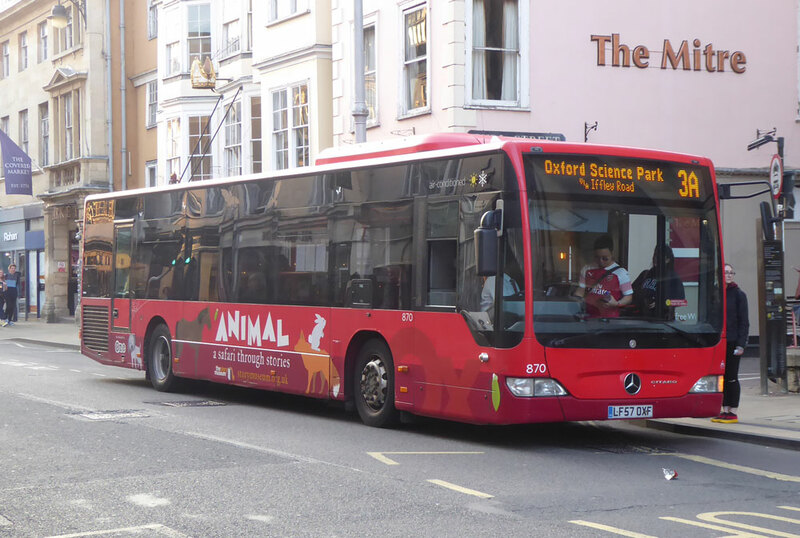 A picture by Gavin Francis of their current E400 double deck in Oxford. Charlton Services X37XAW in St Giles on April 2nd. StreetLite 63314 arrives at The Eden with an X74 Slough service on March 29th by Malcolm Crowe. Well 422 and 423 are back on the road but so far no sign of 424. For the past few days 421 and 423 have been keeping company on the 40 to Thame. 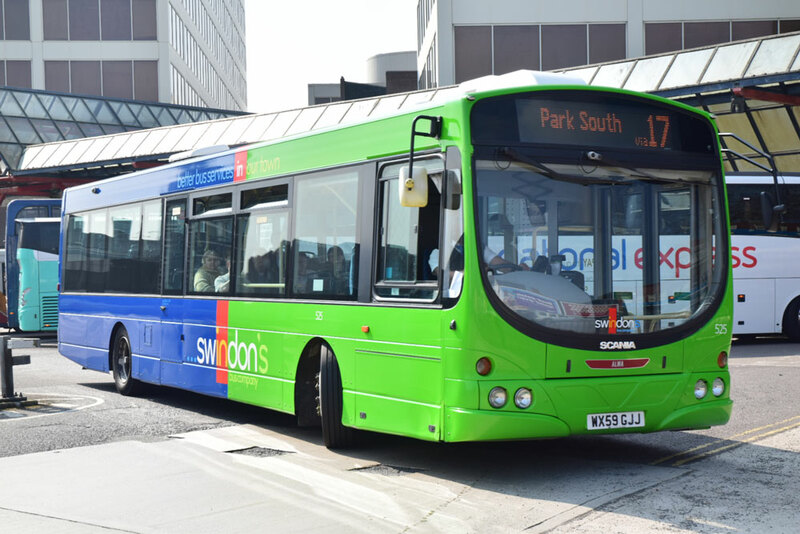 I also see that Solo 710 is back on road after its misadventure in Watford some weeks ago, this was when it came into contact with the rising bollards in the town centre. These appeared to rise under the front axle and engine. First by Gavin and second by Malcolm. Loaned Solo SR KX15BBMY seen at the depot on March 29th. Ex London General now Carousel's 938 at the depot on March 29th by Malcolm Crowe. 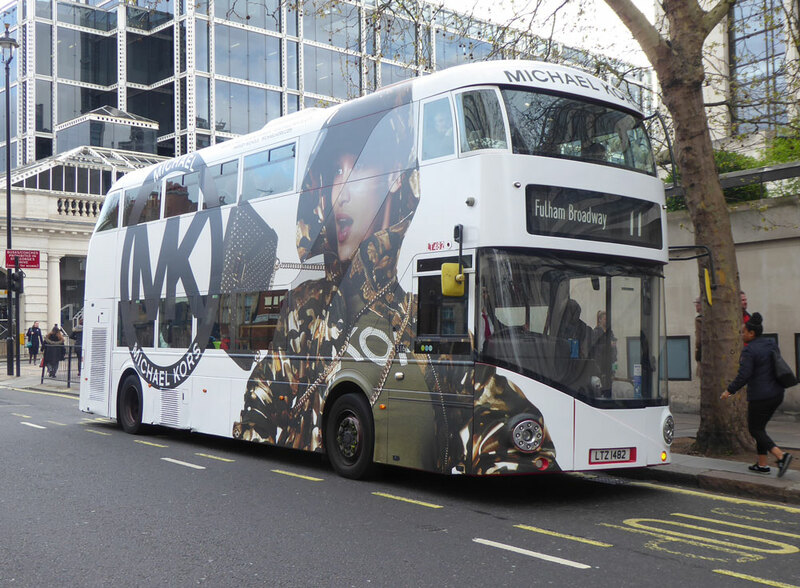 This bus is being used on school services. 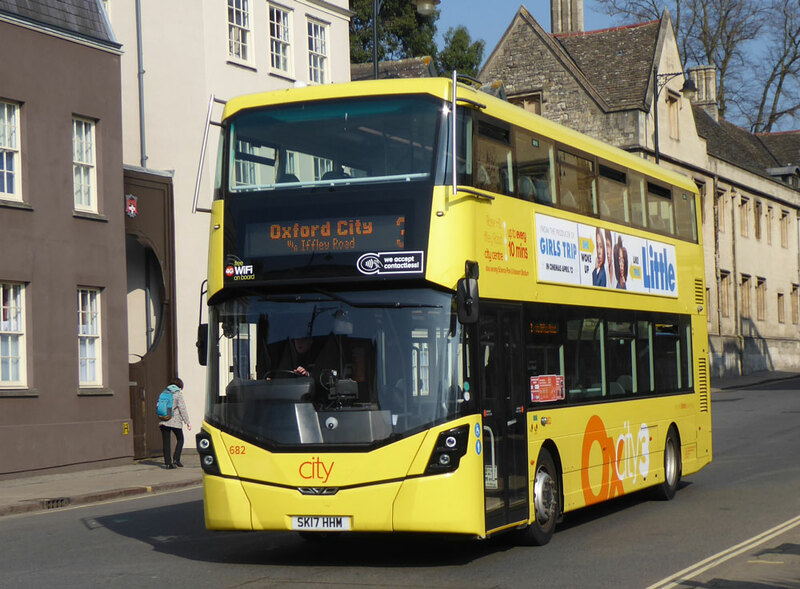 Carousel's 222 is now with Oxford but still proclaiming to be a bus "not of Oxford"!!! Several pictures have been received which are shown below. 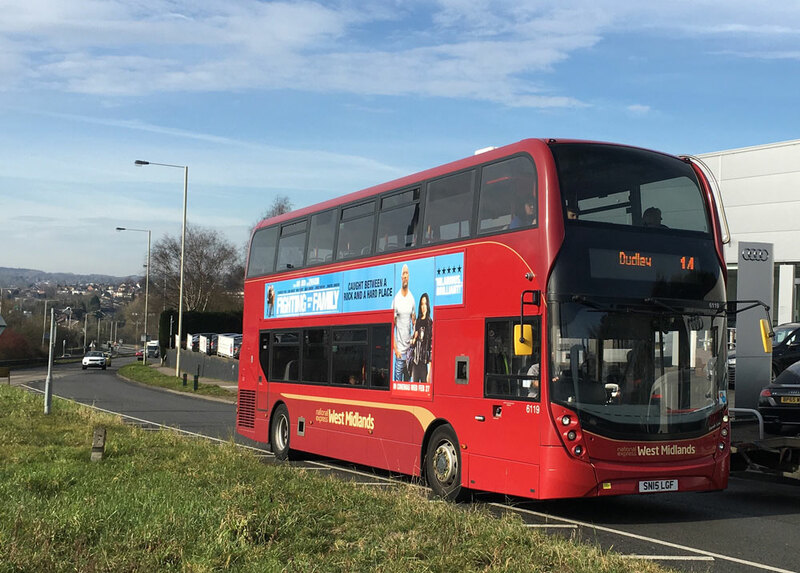 222 on the 3 at Queens Lane on March 28th by Graham Low. 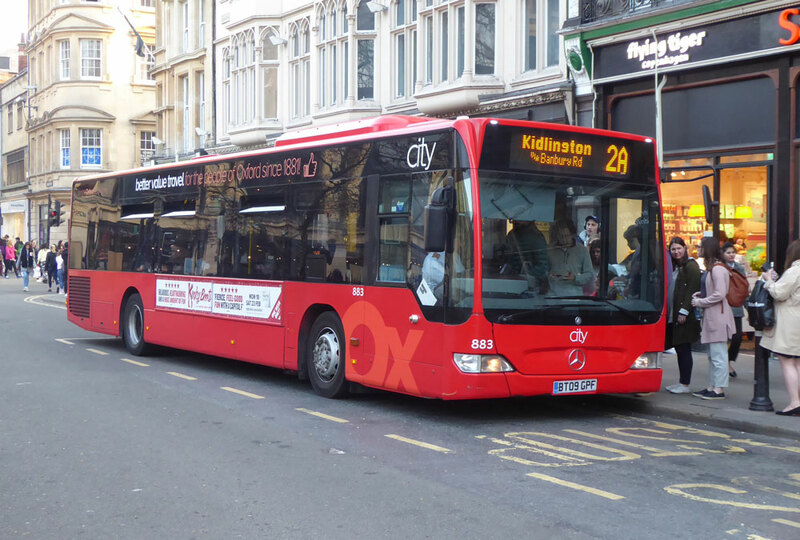 222 on the X3 in St Aldates on March 30th by Graham Mildenhall. 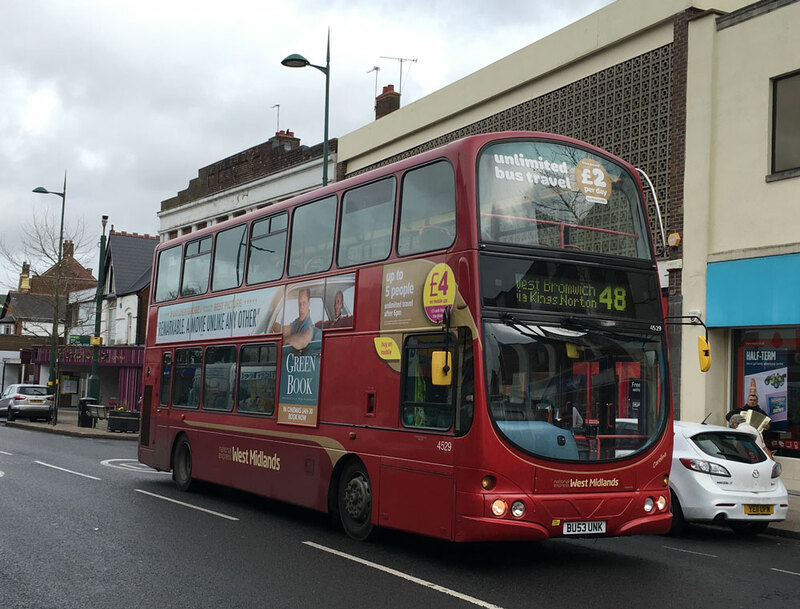 222 seen on a 13 at Queens Lane on April 3rd, still bearing Carousel fleet name and legals by Gavin Francis. 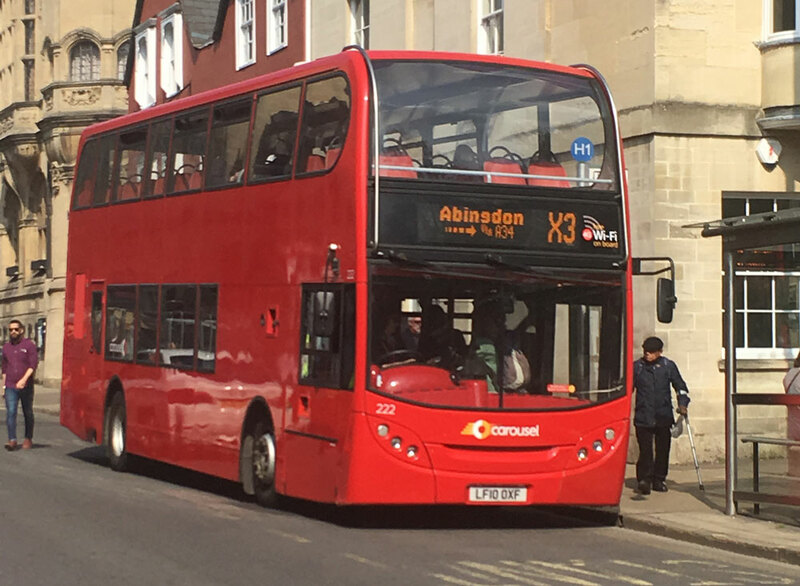 Hybrid 302 with a 4C to Wood Farm in St Aldates on March 29th by Gavin Francis. 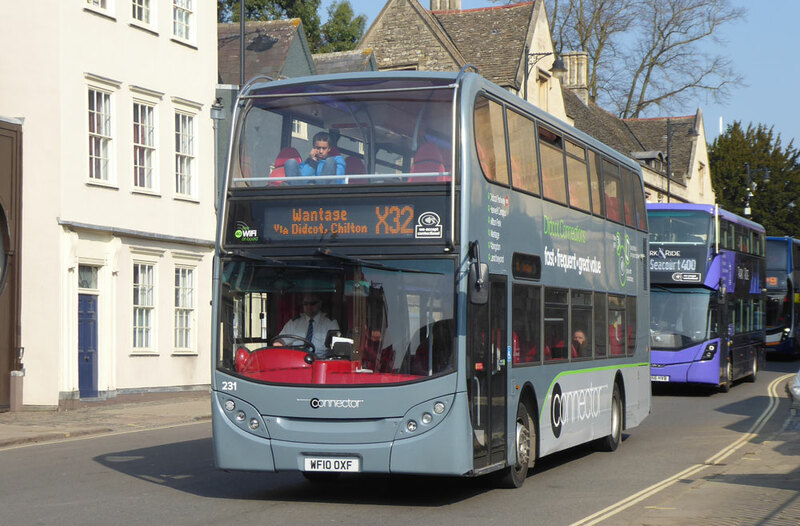 368 leaves St Aldates stop with an X3 on March 29th by Gavin Francis. 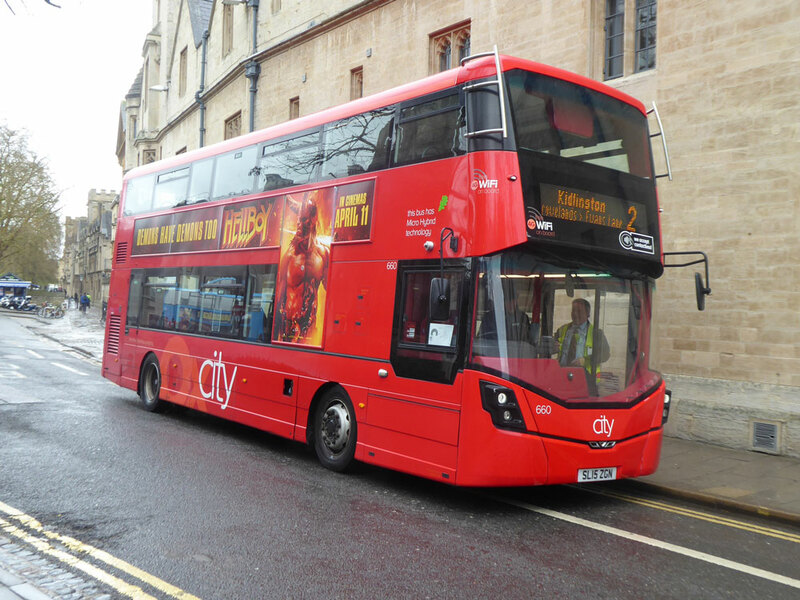 Wrapped 602 heads into Oxford with a 2C and later leaving the City Centre on April 4th by Gavin Francis. Note: the Brookes Uni branding can still be seen on the rear upper panel!!!! 603 with Brookes lettering on the U1in Wheatley on March 23rd by Gavin Francis. 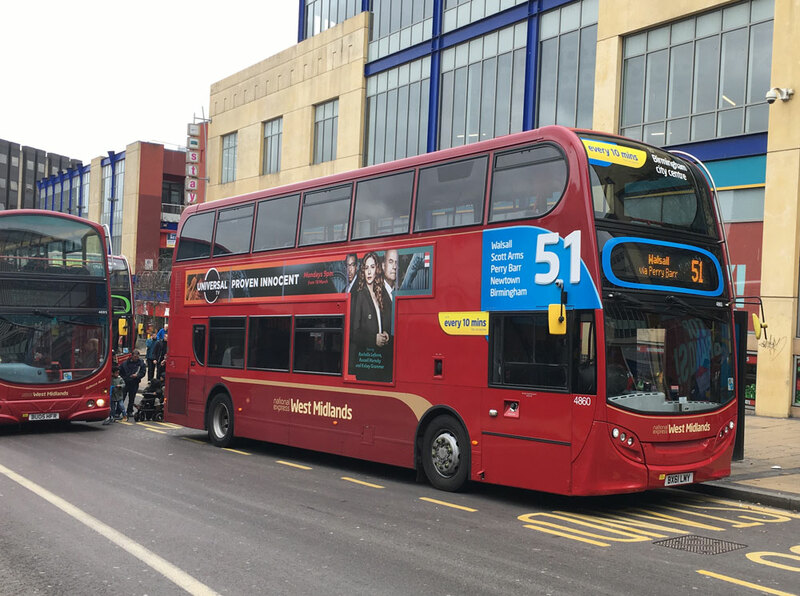 660 which often appears on routes to the south of the City, is seen here on the 2 in Magdalen Street East on March 23rd by Gavin Francis. followed by 689 working the 8 on March 29th by Gavin Francis. 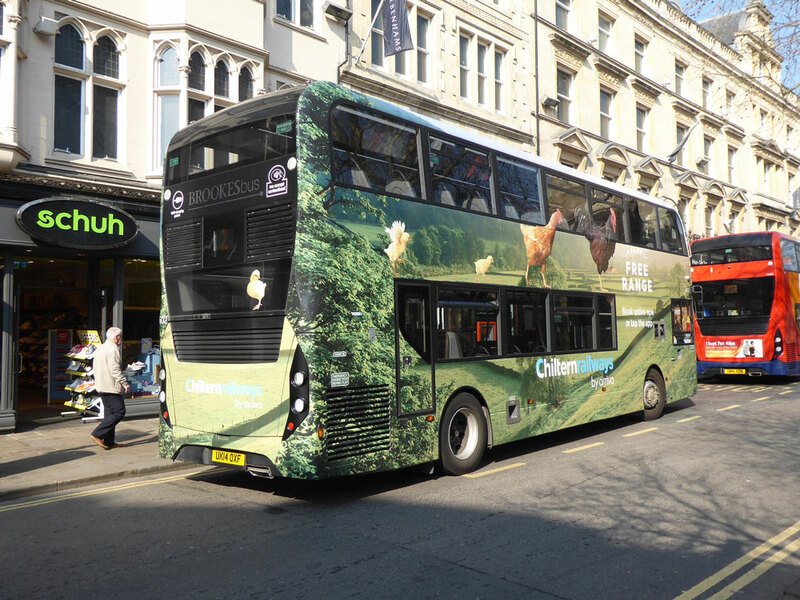 Citaro 870 with a peak hour 3A in High Street on March 29th by Gavin Francis. 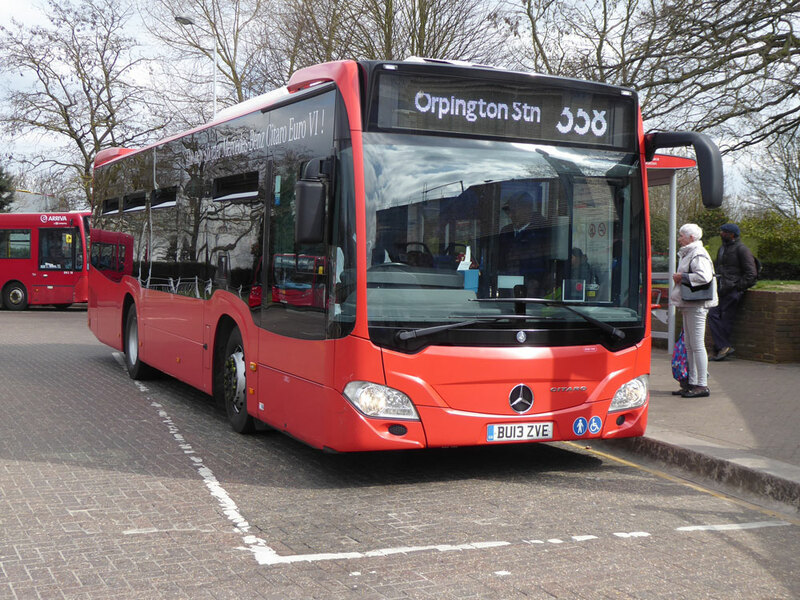 Looking very clean and smart, Citaro 883 picks up for Kidlington with a 2A road working on March 29th by Gavin Francis. The company now has three of the E400s converted to open top and providing visitors with a great view of the City. 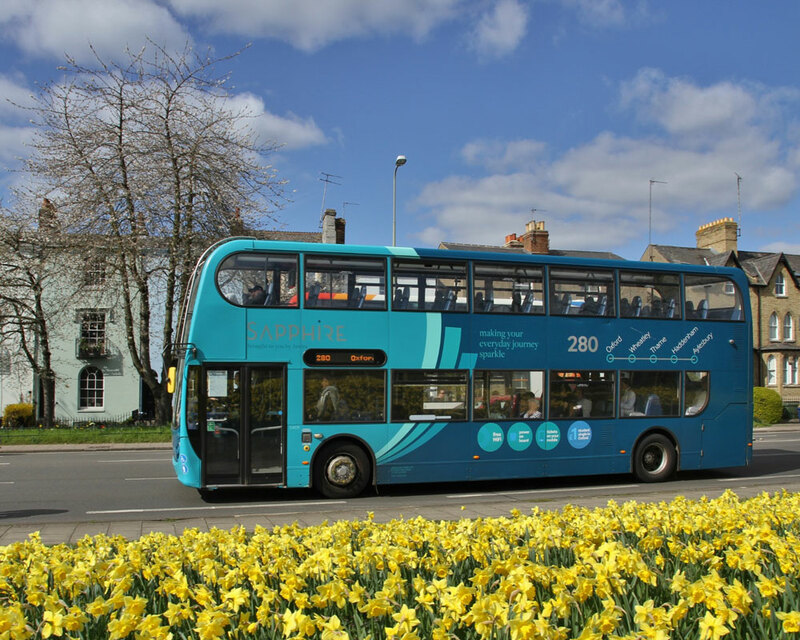 202 and 203 in the distance have good loads on a warm spring day in Oxford in this view on March 30th by James Freeman. Nothing to report for this issue. 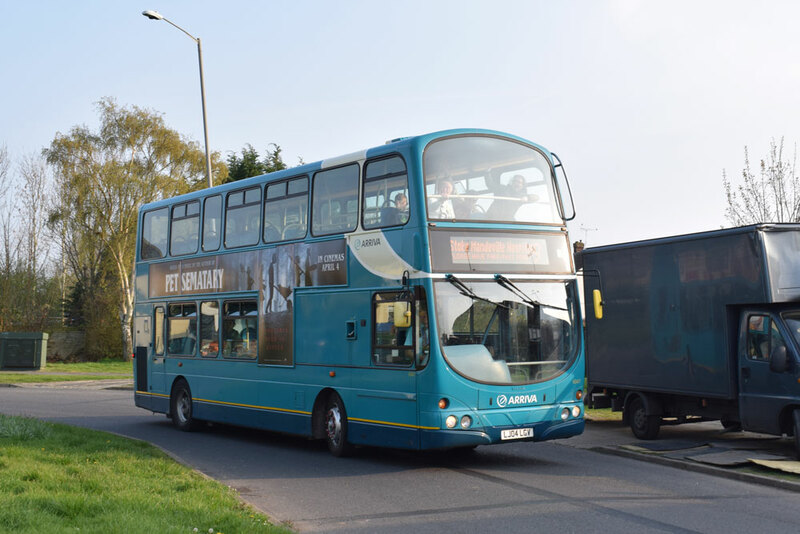 E400 Connector branded 231 is seen with an X32 working heading towards Wantage on March 29th by Gavin Francis. Heading for Reading (gosh it rimes!) 879 looks clean well turned out with the X38 via Henley on March 29th by Gavin Francis. "Just thought that I'd share some photos with you from Swindon yesterday. As due to the protest march from Honda workers, all town services were diverted into the bus station." All pictures taken on March 30th. Versa 403 with a 16 service. StreetLite 414 with service 11. MMC 200 2766 working service 13. Another MMC 2775 with a 5 working. LT482 with a wrap for Michael Koors works the 11 on April 4th by Gavin Francis. 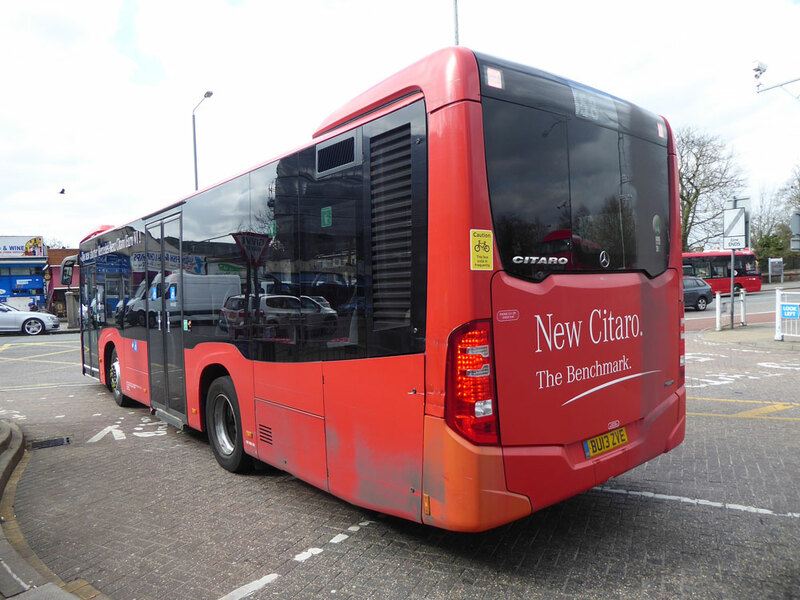 Readers locally to Oxford will be aware of a number of Go London Citaros which joined the local fleet. 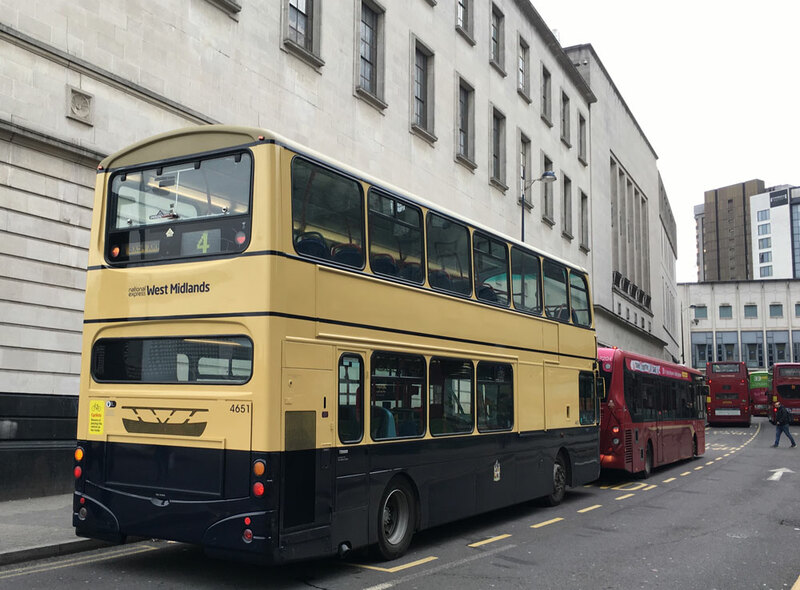 Below are some pictures by Gavin Francis of sister buses still in London. MEC's 17 and 31 with Training work on April 3rd. 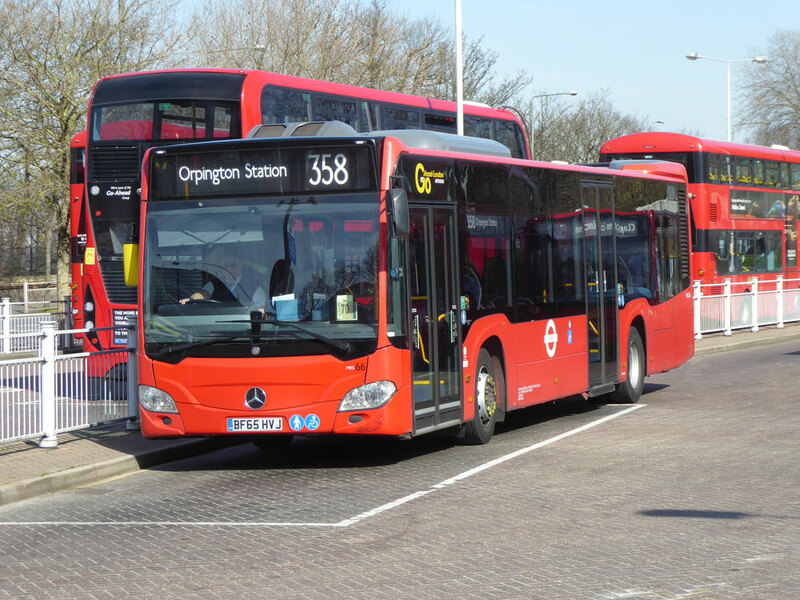 Go-London MEC66 works a 358 at Crystal Palace on March 26th by Gavin Francis. 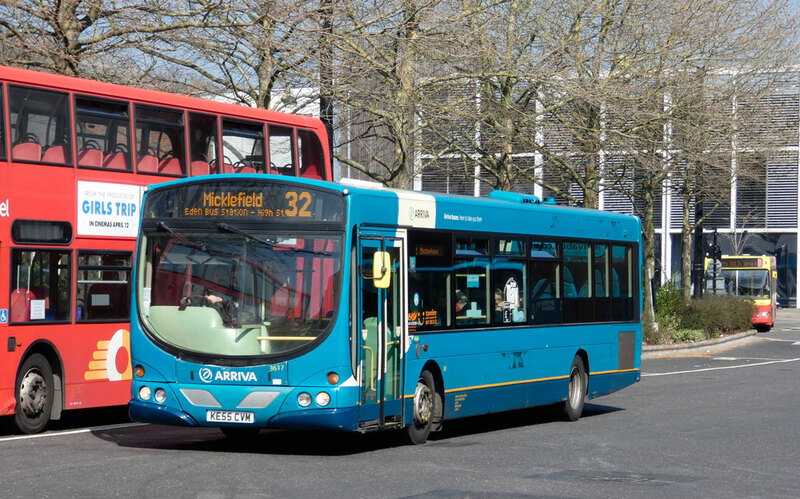 Demonstrator BU13ZVE works a 358 at Crystal Palace on March 26th by Gavin Francis. 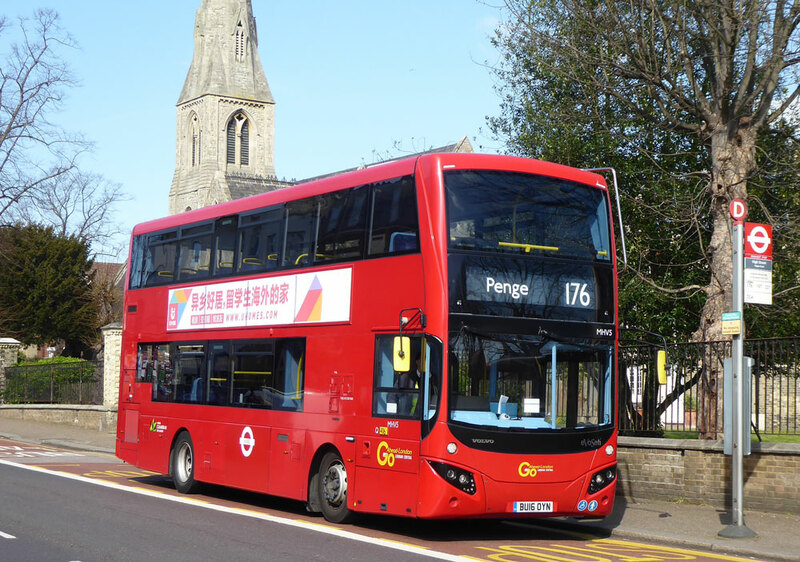 Go-London MHV5 with the 176 near Crystal Palace on March 26th by Gavin Francis. 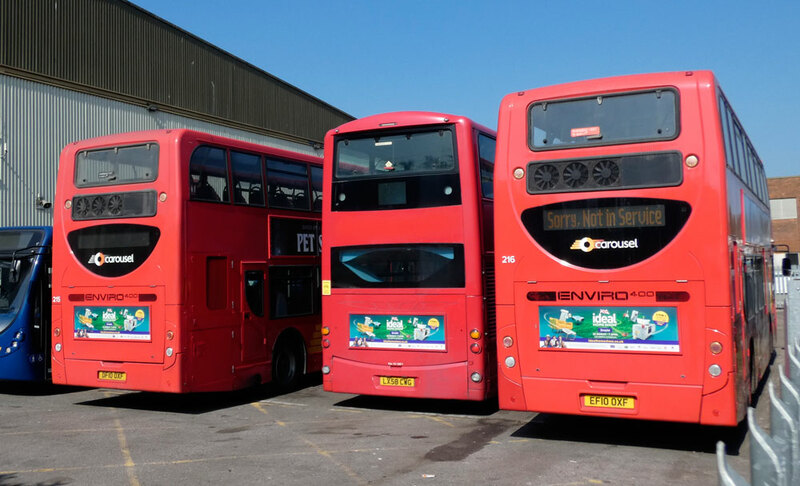 Significant number of the latest Levante III's are now being seen in London and look somewhat larger than the older Levantes we have become used to. Stansted's 262 BV19XOO with an A7 departure in VCS on March 27th by Gavin Francis. 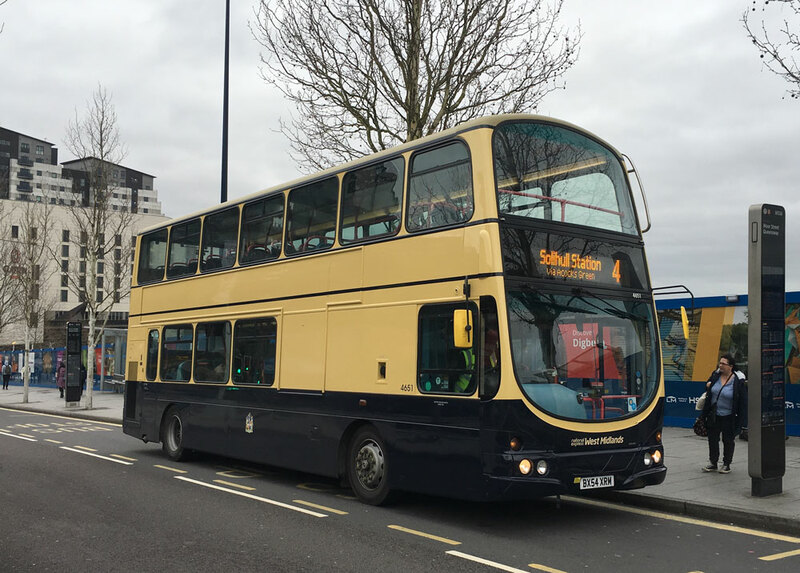 Levante SR169 FJ11GLZ in east London on March 26th by Gavin Francis. No further news has been forthcoming regarding the Courtney acquisition as I prepared this issue. 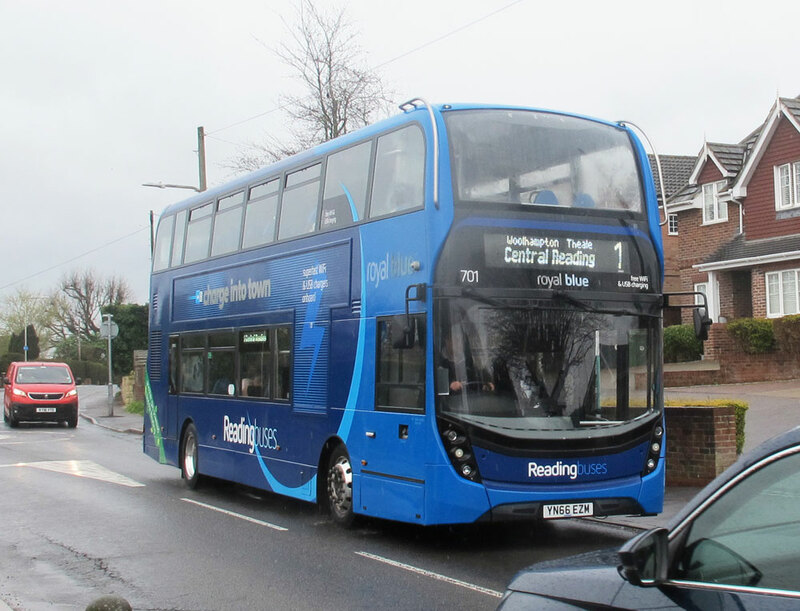 Bob Morley sent this picture of Royal Blue 701 working the 1 from Newbury to Reading on April 2nd. 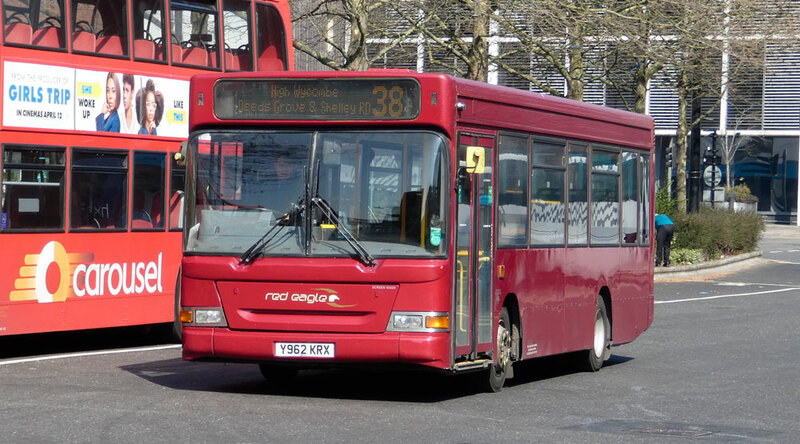 Red Eagle's Y962KRX arrives in The Eden with a 38 service on March 29th by Malcolm Crowe. 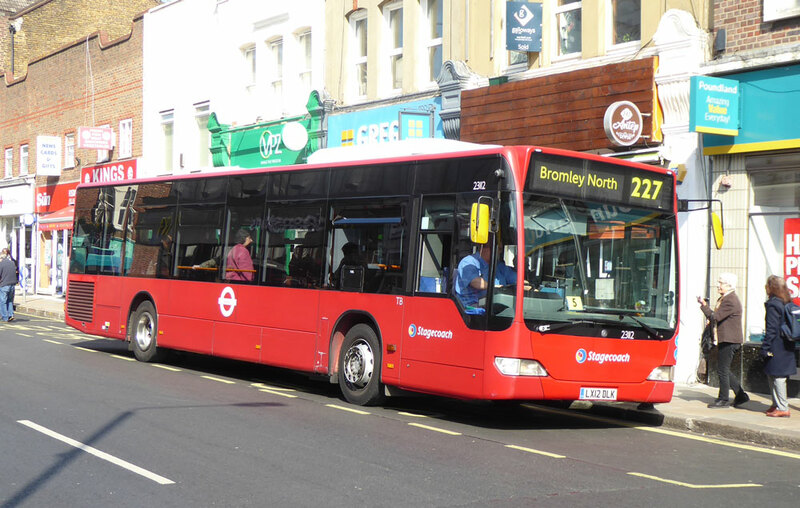 "On a different subject have seen the Redline Dennis Enviro 400s, one at least had Metroline still on display as was the TFL buses Roundel. Also saw in Aylesbury town centre Redline Dennis Trident showing Service 321 but with what looked to be some of the upper deck windows smashed on the kerbside of the bus, an aggressive tree? Vandalism? Unknown." Just to show the photographers are out and about, I was in High Wycombe and Gavin Francis was in Oxford for the departure and me for the next working from Wycombe! W402UGM with the 275 in Oxford and Wycombe on March 29th. 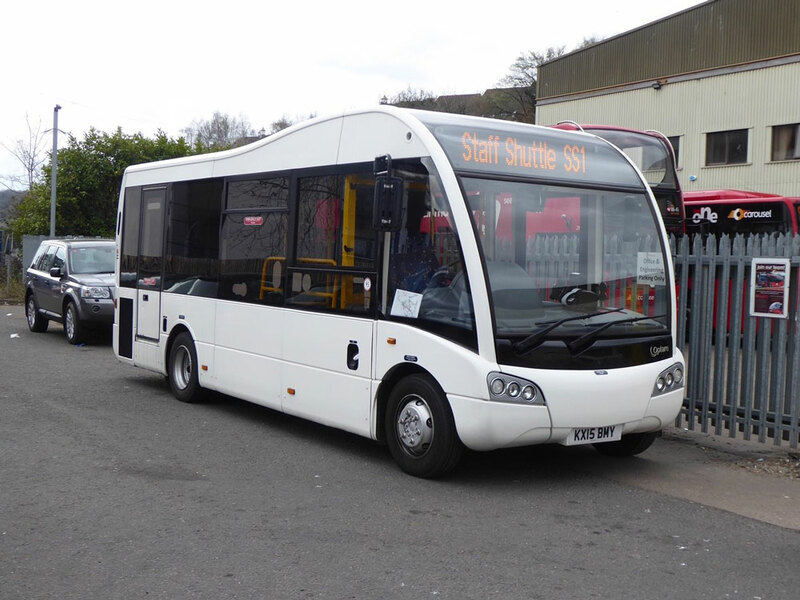 Dart SLF 34436 has been sold to T. Wigley (dealer) and was collected from Banbury depot last week, whilst until the end of last week Reserve Fleet 34468 has been used on a regular basis. 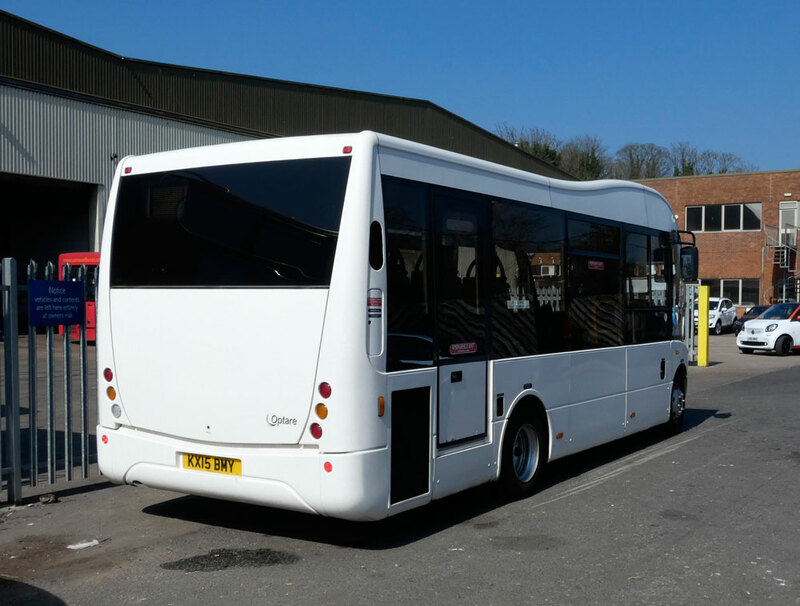 HHybrid 12006 is now back on the road with a full repaint into corporate colours as advised by Gavin Francis and Andy Churchill. Hybrid 12006, looking resplendent in a fresh coat of paint works the 10 on March 29th by Gavin Francis. 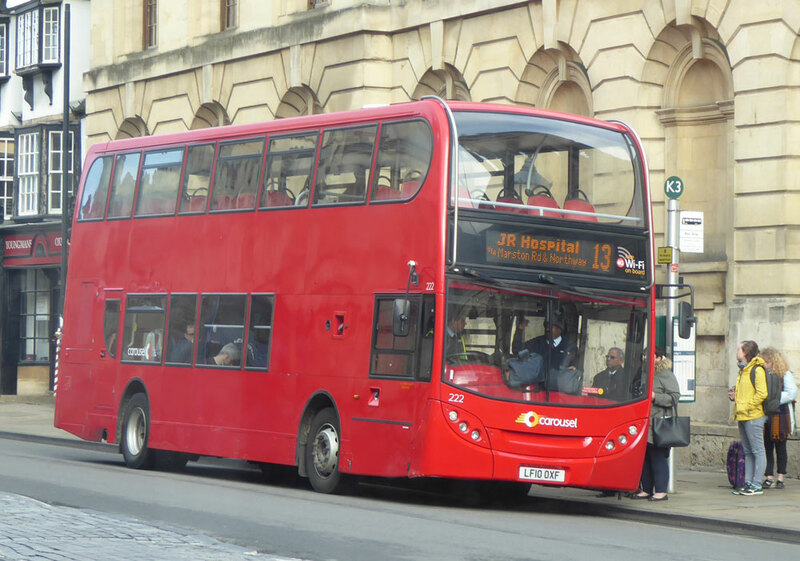 MMC 10667 inbound with a number 9 on March 29th in St Aldates by Gavin Francis. 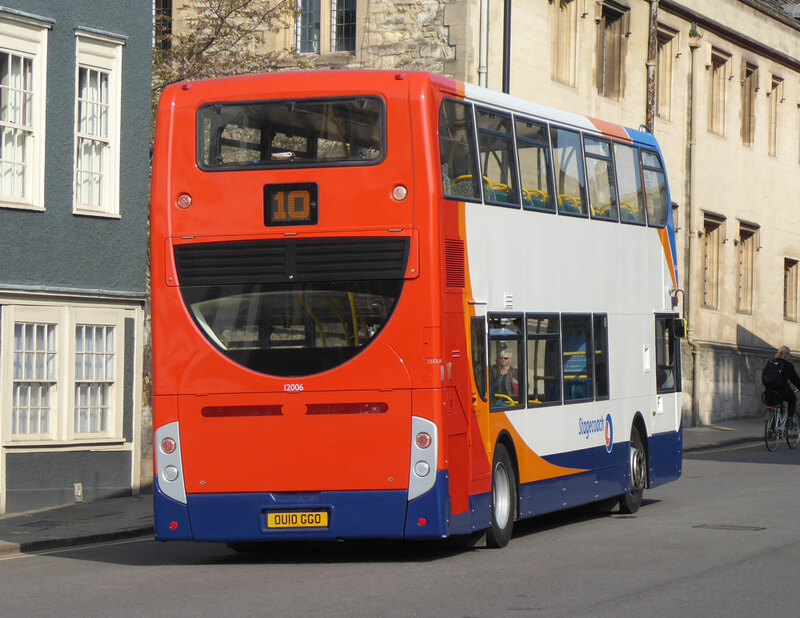 Trident 18335 was moved over from Cambridge to Peterborough recently and has since gained ‘Go West Travel’ legal lettering suggesting it will nominally become a Long Sutton-allocated vehicle. 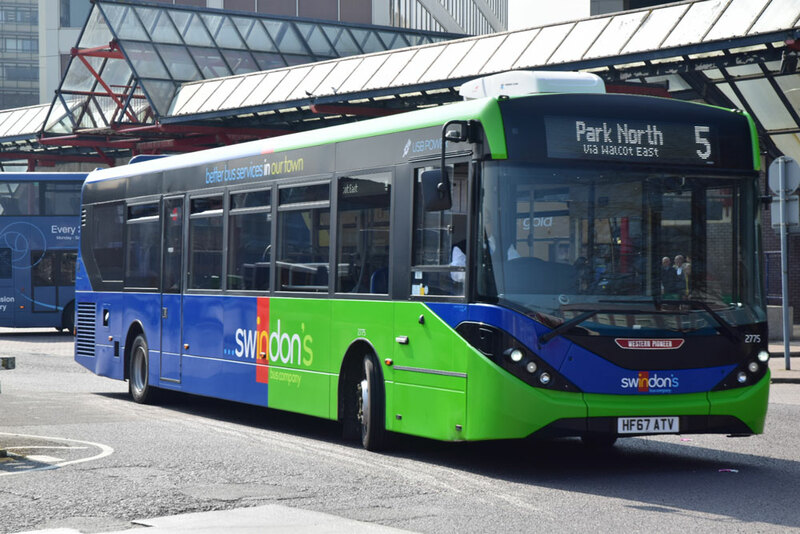 Short Enviro 200s 36301 and 36302 are currently being prepared for service at Bedford and will enter service shortly whilst work to prepare Dart SLF 34425 for service at Peterborough is also nearing completion. 15637/39/40/41/42/43 have entered service at Cambridge. Look out for one of these Scanias being painted in other than corporate livery. 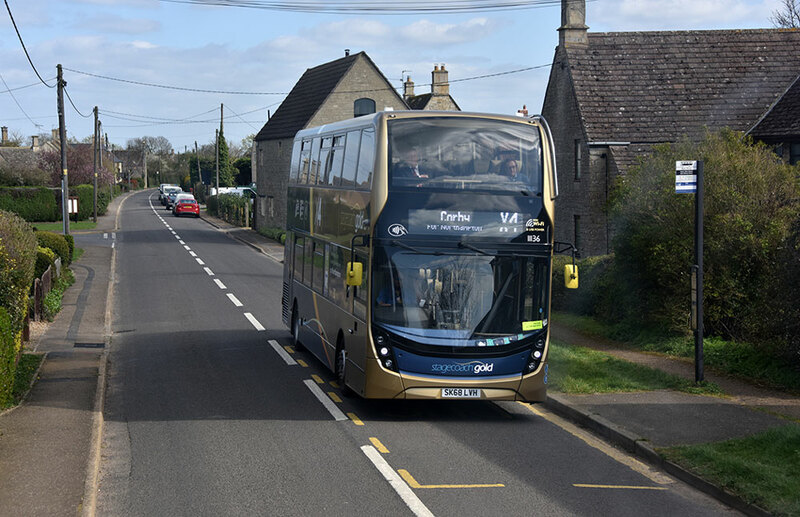 Trident 18335 is confirmed as being part of the Go West Travel (Long Sutton) allocation, whilst another vehicle transferred from Cambridge to Long Sutton is Enviro 400 19047. Enviro 400s 19694 and 19696 have moved from Long Sutton to Cambridge. 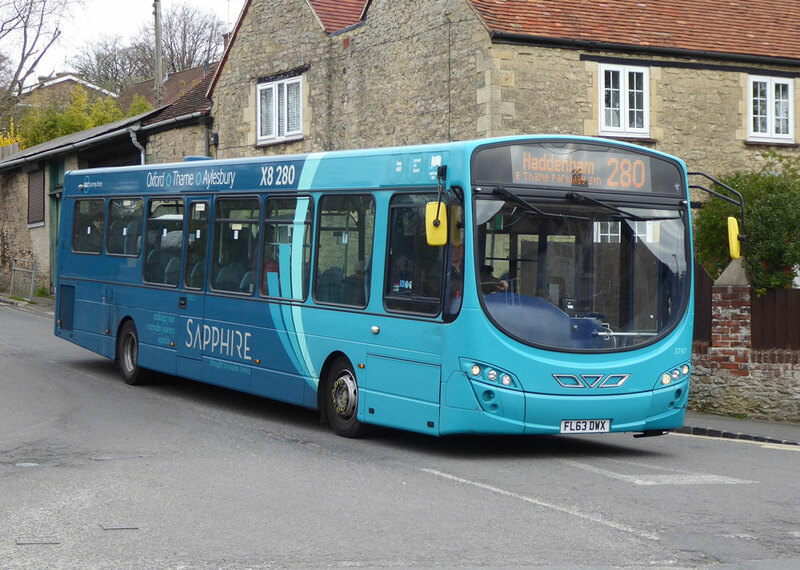 Also due to be transferred from Cambridge to Long Sutton are Tridents 18338/44 and 18416/18 along with Enviro 400s 19017/68. Moving the other way will be six Enviro 400s, 19693/95 along with the four former Norfolk Green examples 10052/53/54/55. (Our images show 19017 at Cambridge depot earlier today and 10054 operating in Peterborough, with an ‘On Hire to Cambus Limited’ notice in the first nearside window yesterday morning. Note that 10054, along with 10052/53/55 has tinted glazing. 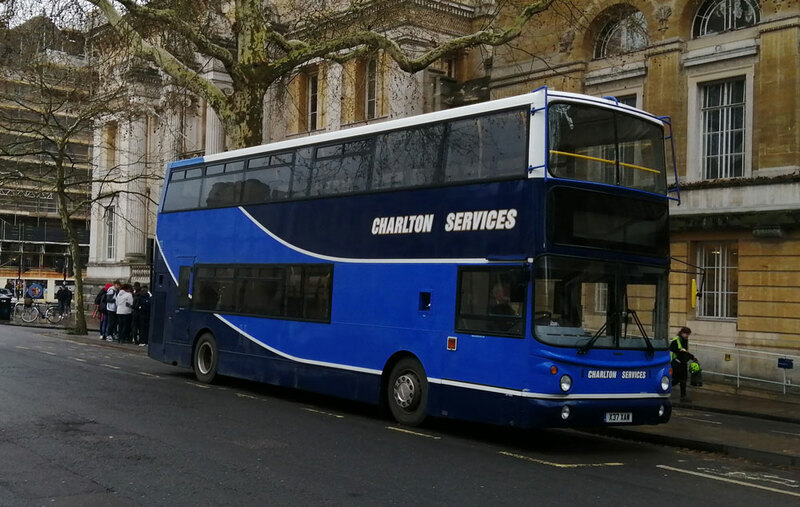 Now out of use at Cambridge is Volvo B10M training bus 52440 whilst further vehicles sold are Optare Solos 47659, 47900, 47902 and 47903. 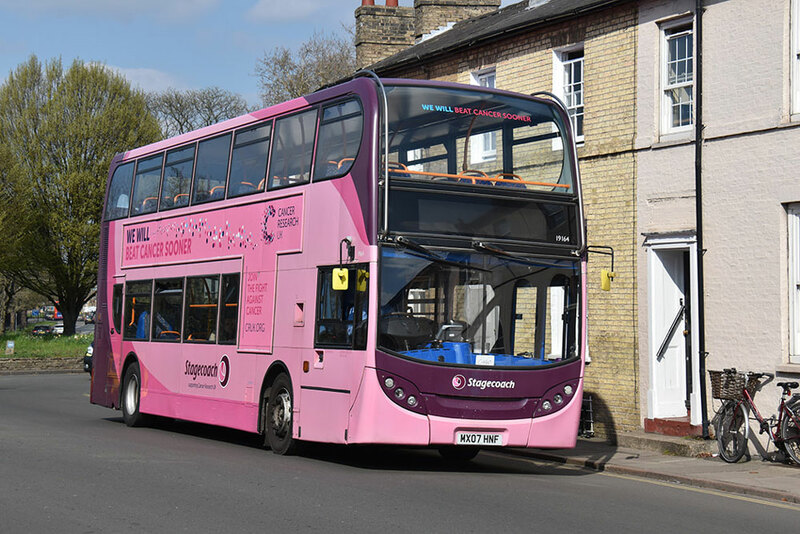 Former West 400 15637 entered service at Cambridge on March 29th 2019 whilst we understand that either 15641 or 15642 is likely to receive a pink-based promotional livery for Cancer Research UK. 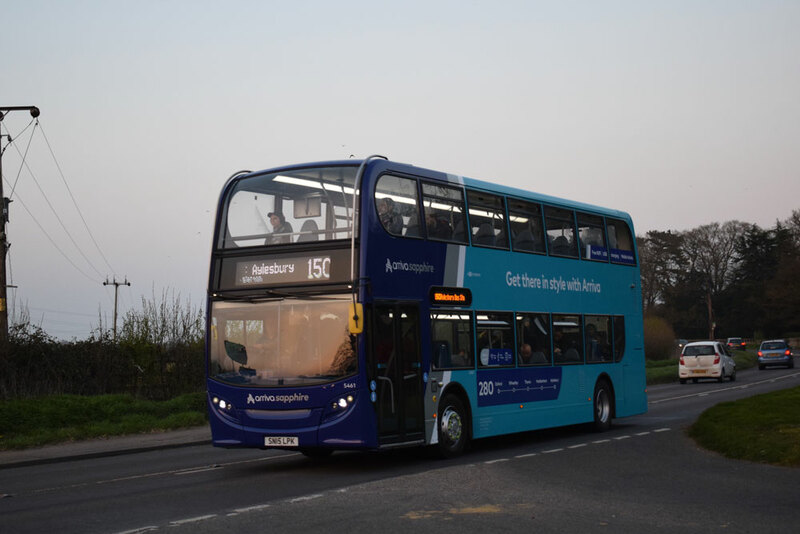 Once done it is expected that Enviro 400 19164, which currently carries a promotional livery for Cancer Research UK, will return to fleet livery. It is confirmed that three of the four former Green 400s, 10052/53/54, are now at Cambridge with 10055 still operating on April 1st out of Long Sutton. Trident 18416 has moved from Cambridge to Peterborough (for Long Sutton) in exchange for former Green 400 10055, the last of the four NG E400s to move over to Cambridge. 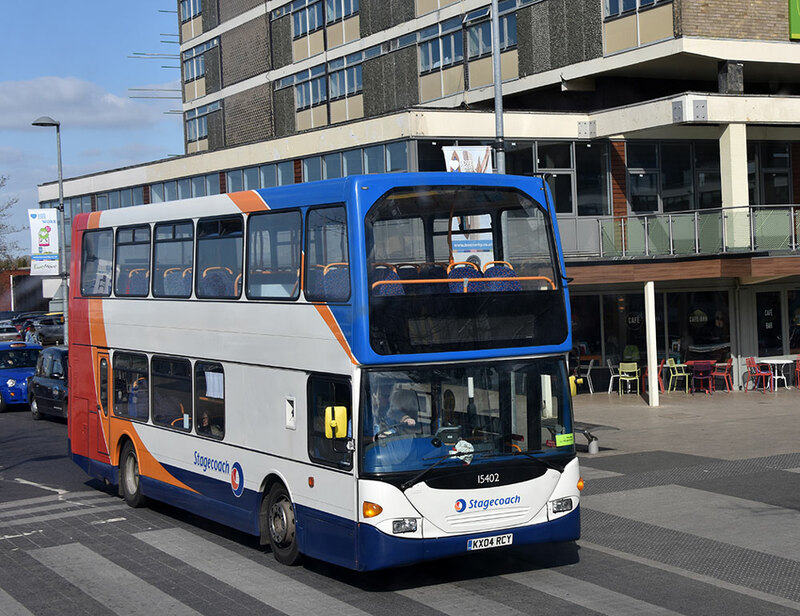 10055 had received damage earlier this morning, prior to its transfer, in Peterborough’s Queensgate Bus Station when it was hit by Stagecoach Midlands Gold-Spec Enviro 400MMC 11132. 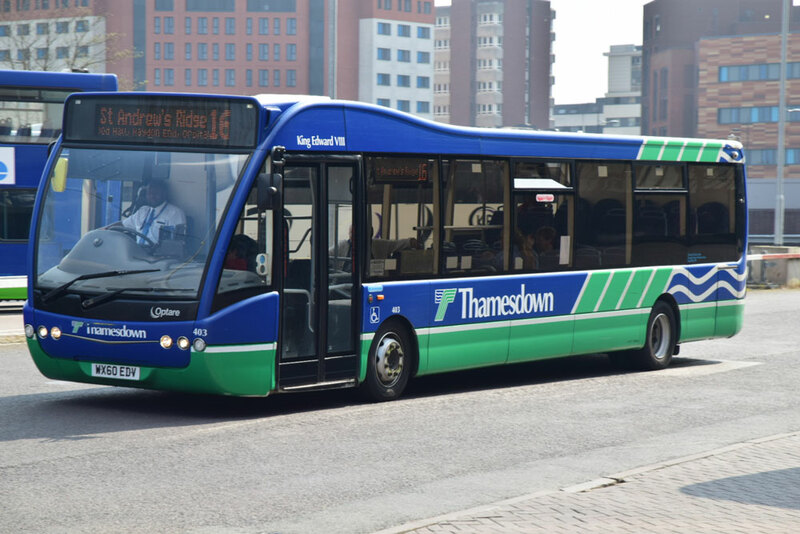 Just heard the Elites on the W7 EMT rail replacement between Bedford and Wellingborough (peak with flow only) are being moved on starting from this weekend, its run by Northampton depot . They will be replaced by Darts it seems, service never seems to carry many as it is, with the Elites moving on to a new (unknown) service with East Kent. more when known. See above. East's 19698 AE60JRV with an X5 service heads towards Cambridge on March 27th by Gary Seamarks. SC Bedford 19698 works the 13.26 to Cambridge on 27/3/19, replacing 54311 which had worked the 11.00 from Oxford and was turned back as the 13.30 to Oxford. 27/3March 27th saw an E400 had worked a late morning X5 west of Bedford which only ran as far as Bicester where it waited time before returning. The five Scania's acquired from West are for Cambridge service 5, not Bedford as was thought. The company, in partnership with the Omnibus Society Beds & Herts Branch is planning an Open Day at Bedford depot on Saturday August 10th 2019. 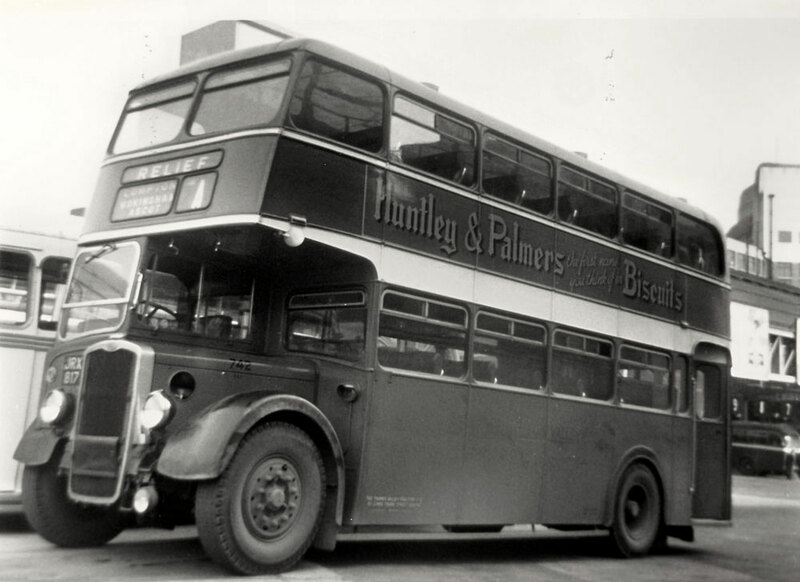 The event will mark 100 years continuous operation of bus services from the depot. 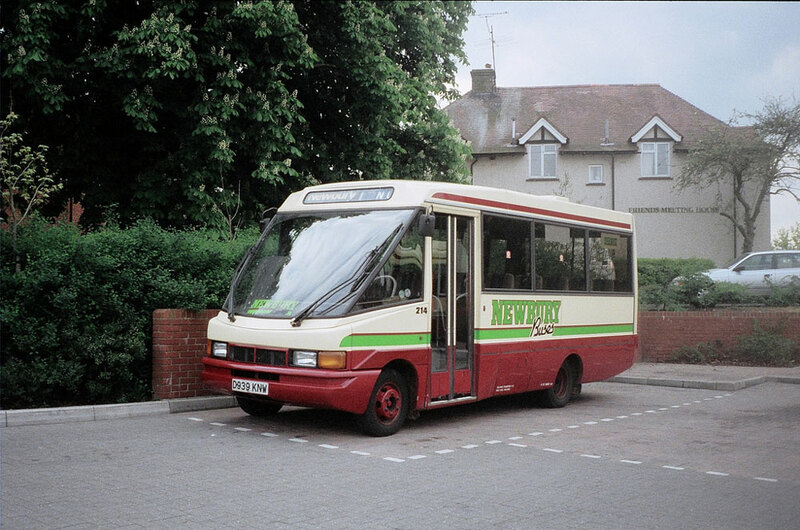 United Counties Omnibus Company was the third NBC Company acquired by Stagecoach (Holdings) Ltd, when purchased on November 18th 1987. Bedford St. John’s Depot was part of United Counties and was transferred to Cambus Ltd in March 2013. 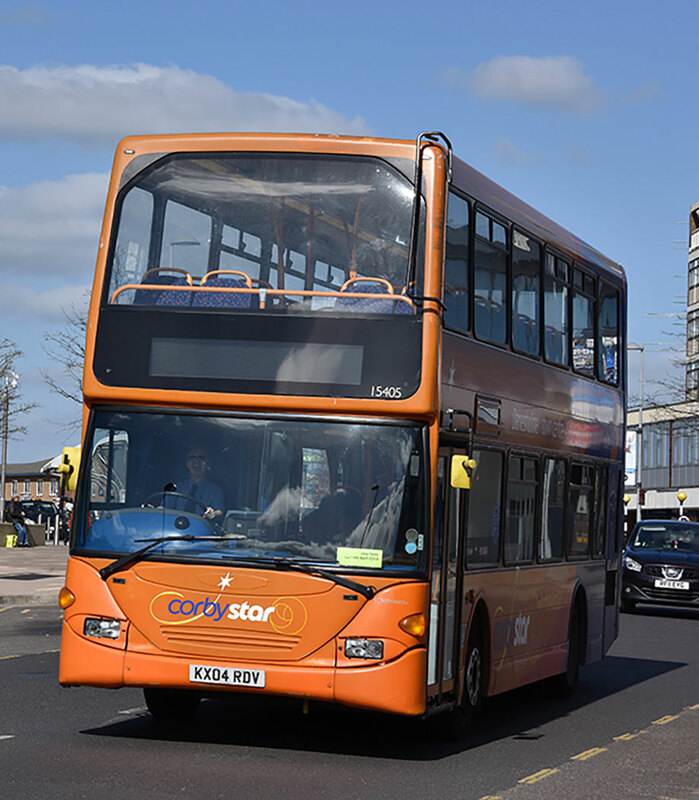 Friday 9 August 2019 will mark the 100th Anniversary of St John’s Depot being in continuous use as a bus depot. Although timetables show services commencing on August 11th, in reality they started two days earlier. The first timetable dated August 11th shows four routes, quickly built up to much more from August 29th and considerably more from April 1920. On July 30th 1913, the LGOC (London General Omnibus Co) opened St John’s depot. Their Bedford operations ceased on November 22nd 1914 when the depot was taken over by the military authorities, who vacated the premises on August 5th 1919. 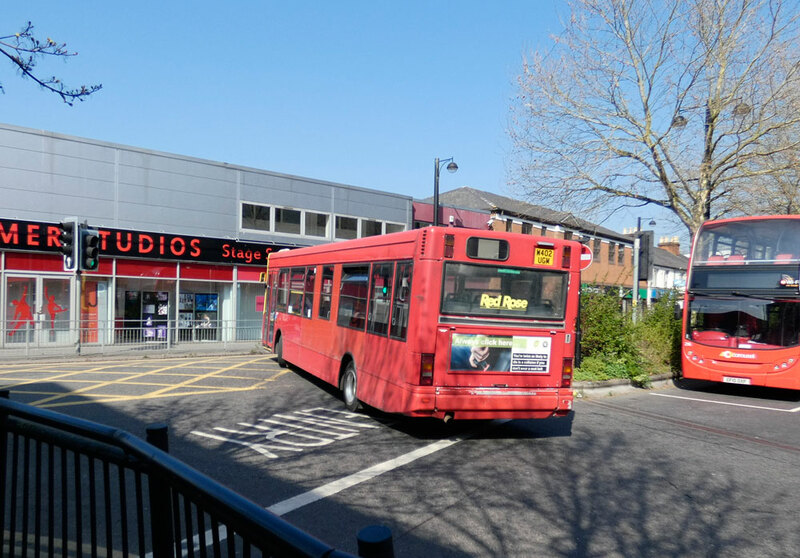 The Omnibus Society Herts & Beds Group and Stagecoach in Bedford are holding a Family Fun & Open Day at St. John’s to celebrate its Centenary in continuous use as a bus depot on Saturday August 10th from 1000 to 1600. 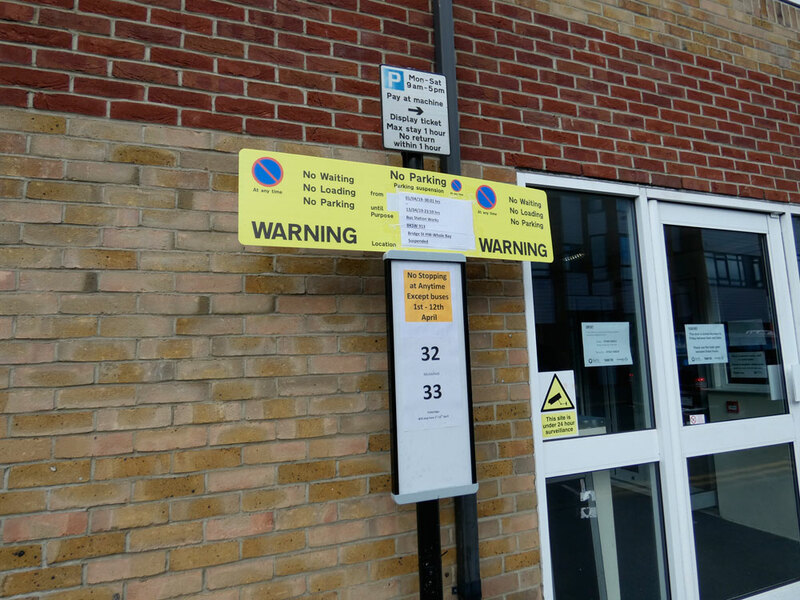 A Free shuttle bus will run from Elstow P&R and All Hallows bus station to the depot. 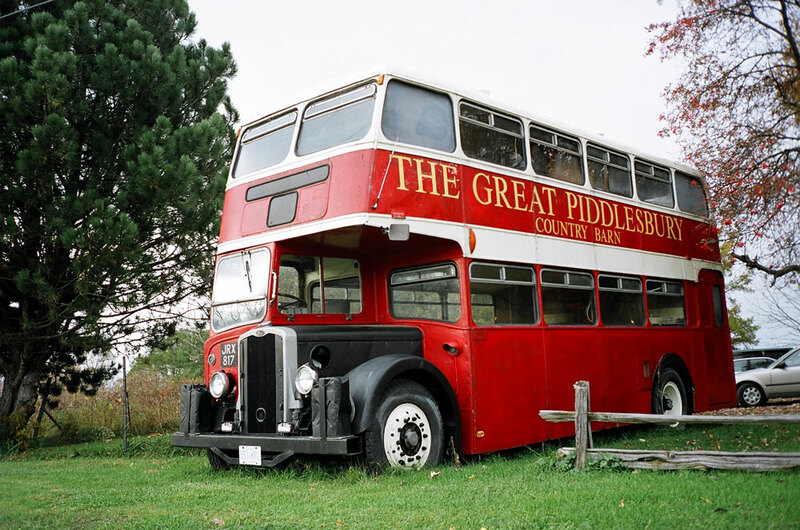 Plans include a static display of former United Counties vehicles in preservation and a selection of Stagecoach vehicles of particular interest. There will be displays detailing the history of the depot and development of bus services in Bedford. However, there will also be many fun activities and competitions for families and children - enthusiasts and non-enthusiasts alike! Any surplus funds raised will be donated to a nominated charity. I am sure many readers will wish to visit this event which promises great interest and excellent photographic opportunities are promised. 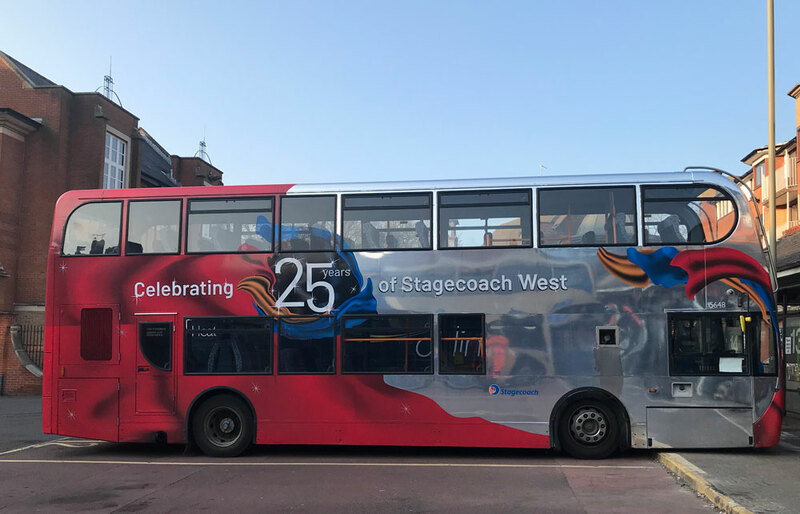 Currently just two of the Scania/East Lancs vehicles in this fleet, 15401 and 15402, have so far received corporate Stagecoach livery. The other three vehicles, 15403/04/05, retain Corby Star livery. They are all based at Kettering depot and whilst nominally for Corby Town services they do appear on other Kettering-worked routes. 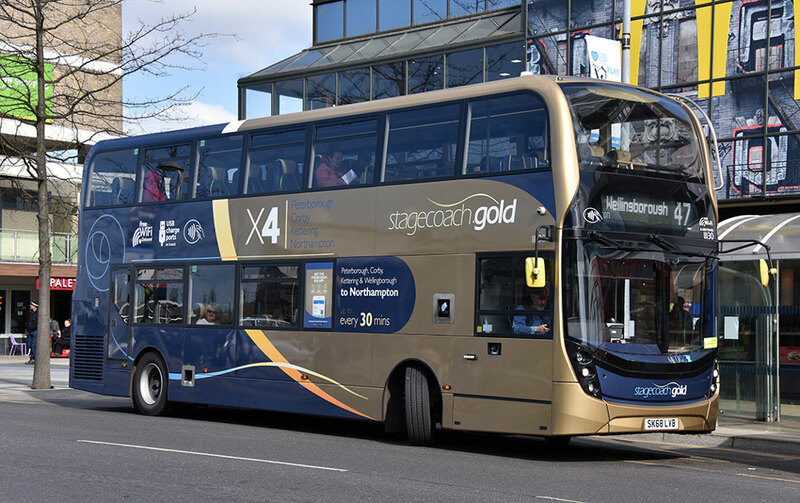 Likewise the Kettering-allocated Stagecoach Gold ADL Enviro 400MMCs can occasionally escape from their regular X4 workings. 11130 on March 25th working the 49 Corby-Wellingborough route. 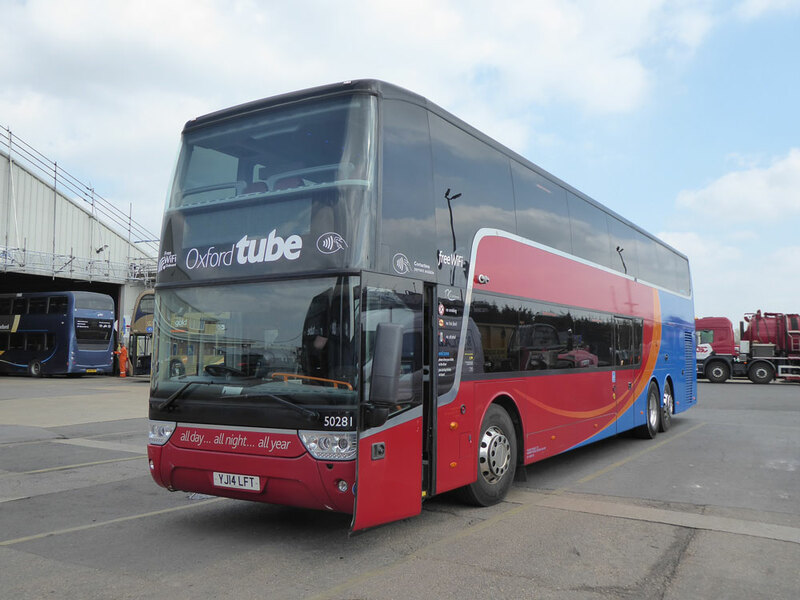 We understand that the Volvo B9R coaches are being replaced on the East Midlands Trains Bedford-Wellingborough rail link with Northampton-based Dart SLFs. 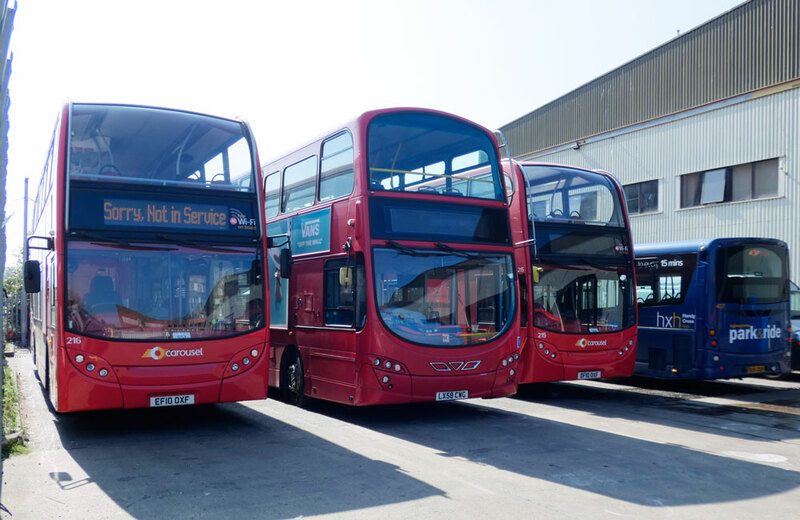 We have received reports that Volvo B9Rs 53702 and 53703 (ex SC Oxford for NEx 737 when new) have already been transferred away from this fleet and are stored at South East Herne Bay depot! 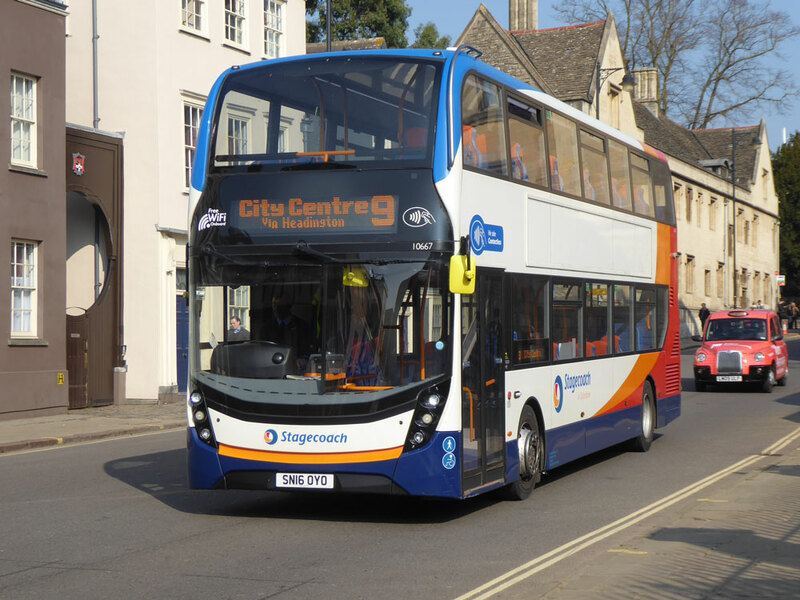 The last route to be worked by Stagecoach Citaros will shortly transfer to another operator. 23112 is seen with a 227 near Crystal Palace on March 29th by Gavin Francis. 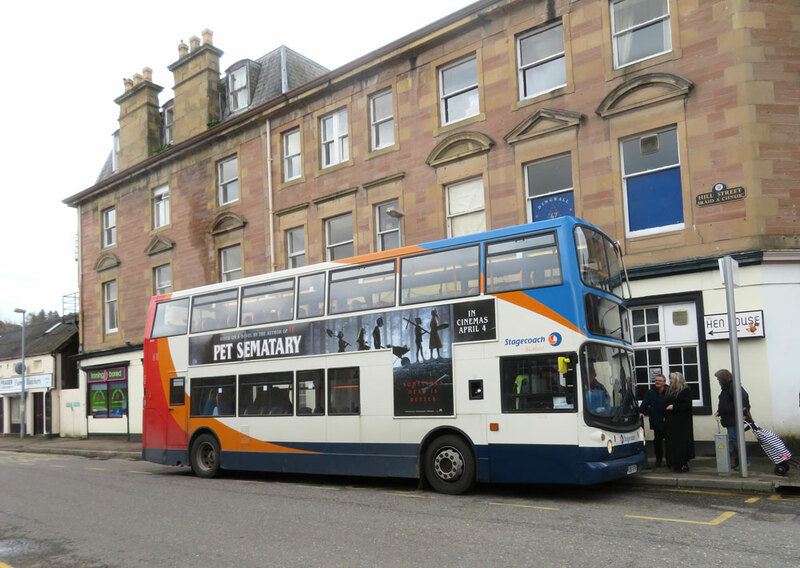 Stagecoach Inverness Trident 18449 at Dingwall after working the 1120 from Inverness service 28 via the "old road" (via Beauly) on March 25th 2019. A typically scenic Inverness area route. 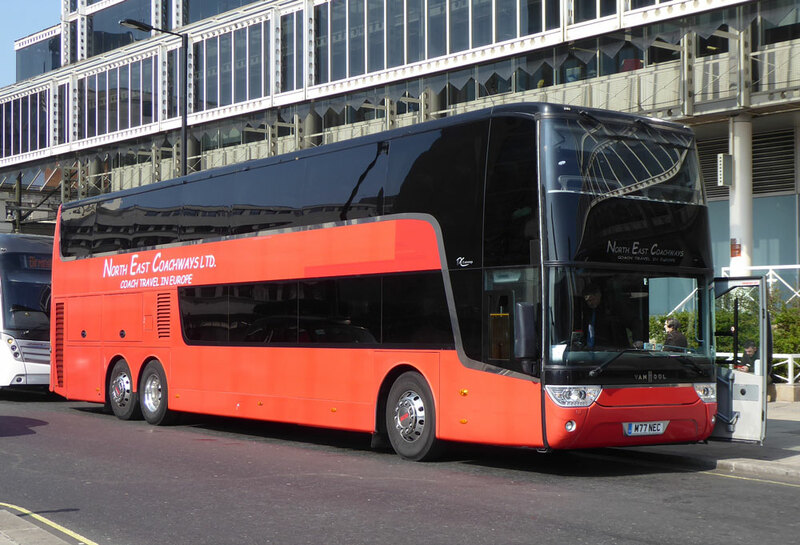 Gavin Francis saw 25th Anniversary branded Scania 15647 and has also contributed a picture of this bus in 2014. Both are at Gloucester Green, Oxford. 15648 working the S6 on March 29th. 15648 arrives in Oxford with a 66 service on May 29th 2014 picture by Gavin Francis. 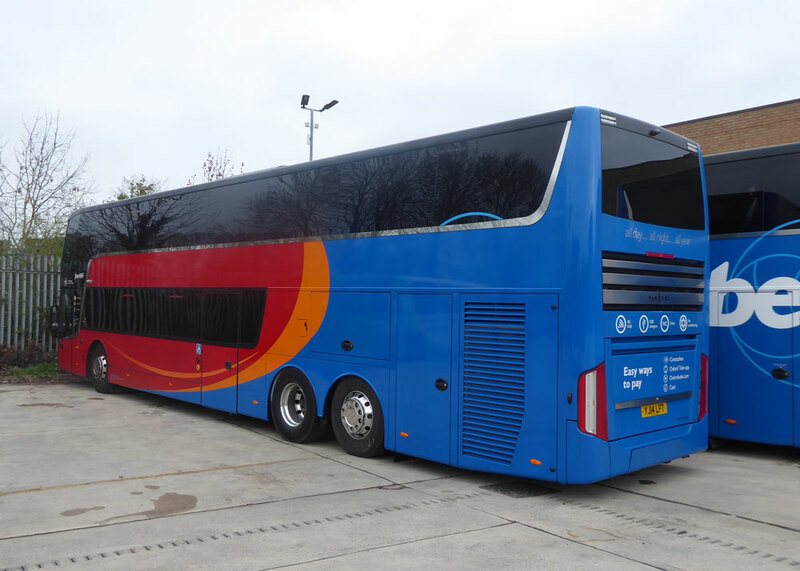 Passed Herbert's Van Hool it's now rereg 243ELU, in Blue and White Stagecoach base colours, was driving hence no pic ! 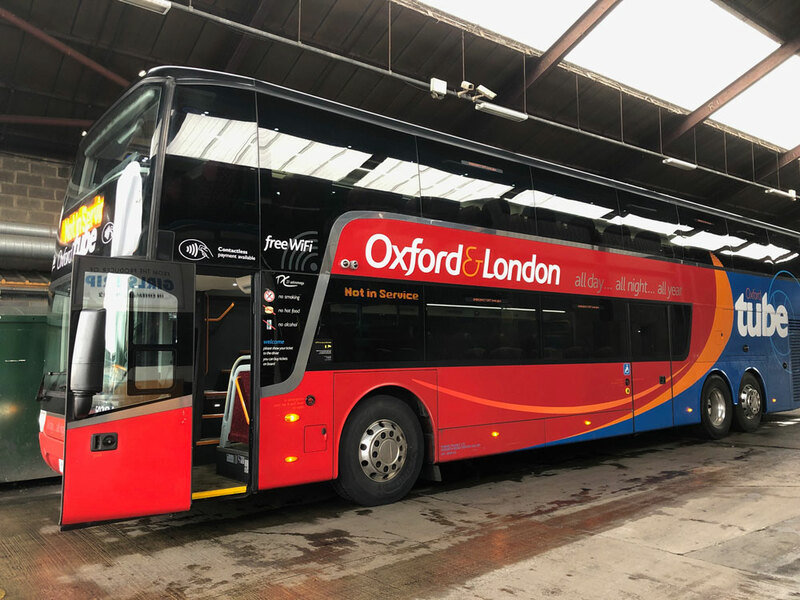 After a lengthy absence under repair 50281 has now returned to Oxford and is back in service. 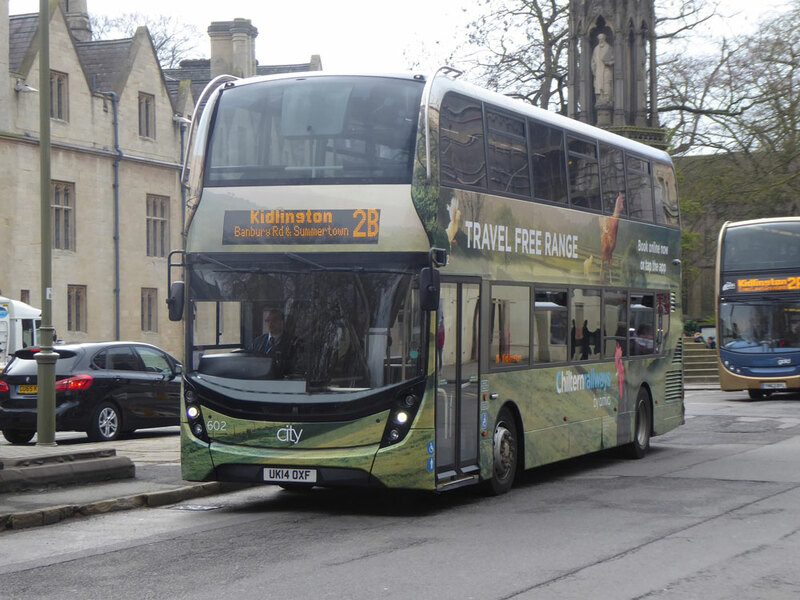 Just returned to Oxford on March 28th but minus full branding on the nearside by Gavin Francis. 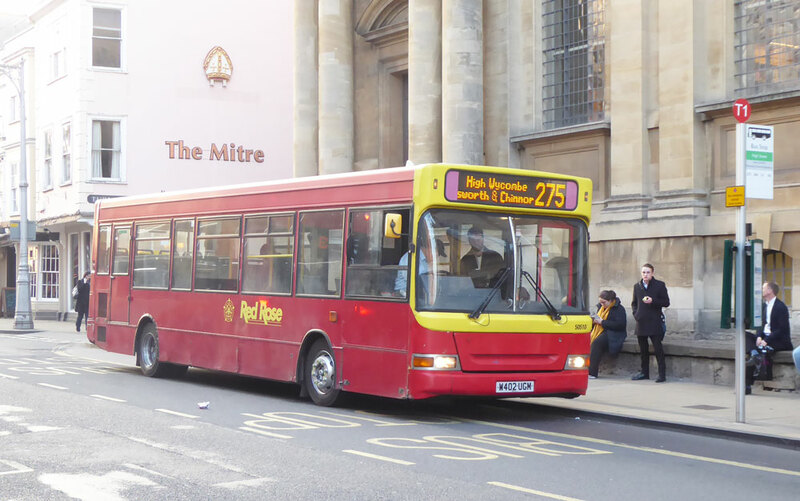 Still awaiting nearside branding 50281 is seen at Network Oxford on March 31st by Gavin Francis. Now it is expected that 50237 is seeing it's last days at Oxford as it will return to Cwmbran. 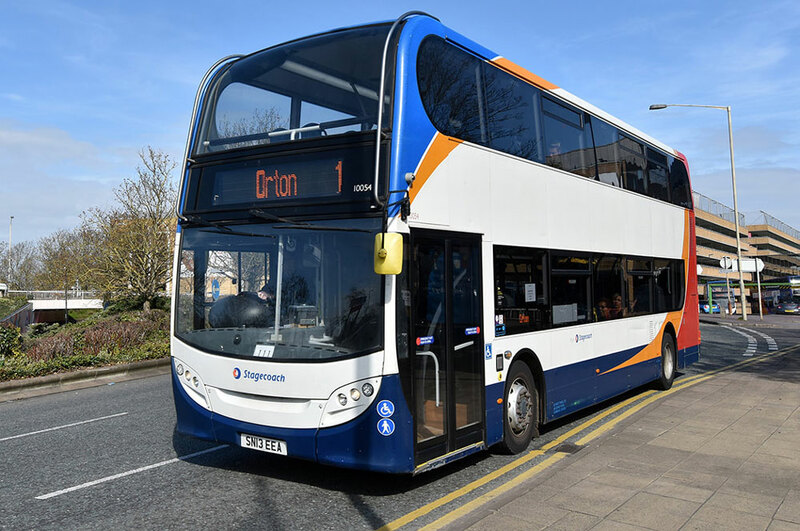 Megabus Plus Volvo B9Rs 53601/02 are both now out of service at Hull and have been replaced by Volvo B12Bs 54077/79 which had latterly been in use on Megabus work from Stagecoach Midland’s Rugby depot. Volvo B11R 54211 is being prepared for transfer from Cwmbran (Stagecoach South Wales)to South Gloucester Bus & Coach whilst Van Hool Sleeper is now at Plaxton for repaint prior to allocation to South Gloucester Bus & Coach. Grant Palmer , working a 28 to Kimbolton (Cambus) it was acquired late last year. Uno YX67UYB on the C10 to Milton Keynes, making a change from the usual Cranfield allocated buses, this one is Northampton's so assumed covering at Cranfield. 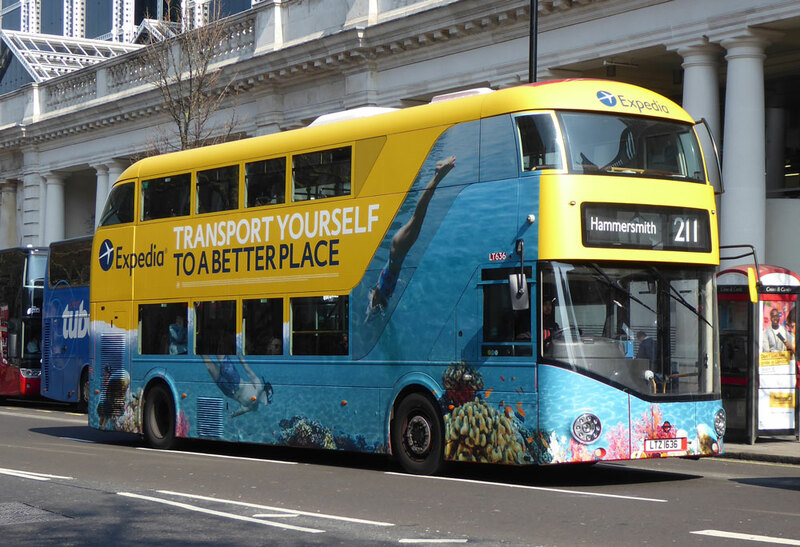 Showing off a new wrap for Expedia LT636 is seen working the 211 on March 29th by Gavin Francis. 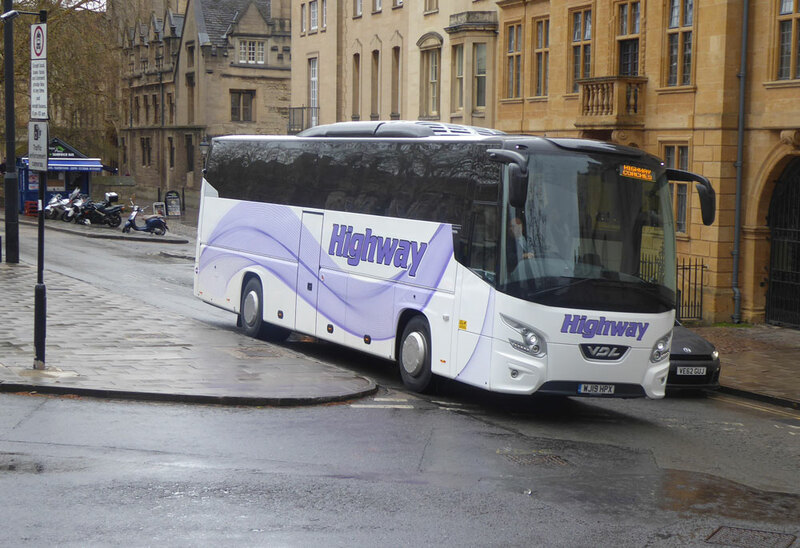 Highway's WJ19HPX in St Giles on April 4th by Gavin Francis. 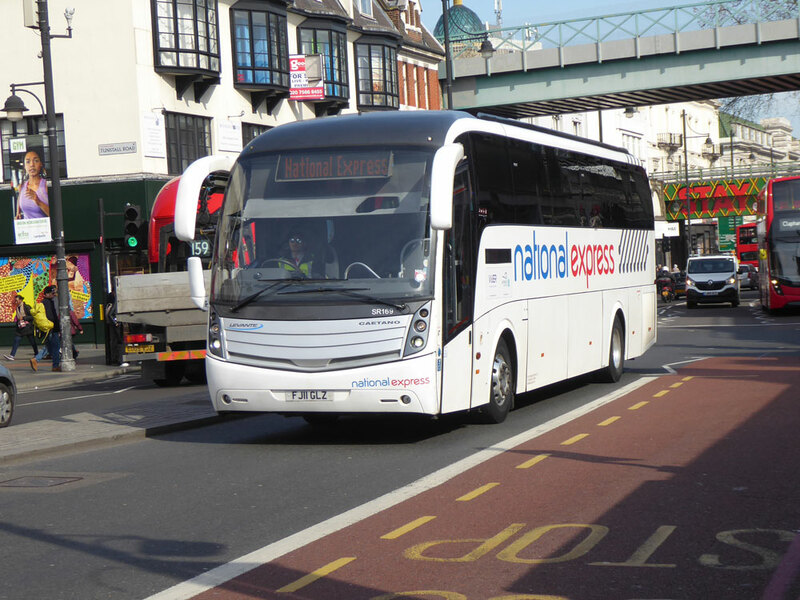 North East Coachways M77NEC on Elizabeth Bridge by Gavin Francis - March 29th. Steve publishes a nice line of fleet books in just pocket size. This links you an update of fleet allocations. This links you to an on-going update of company news throughout the UK. Thinking of a holiday in Orlando? 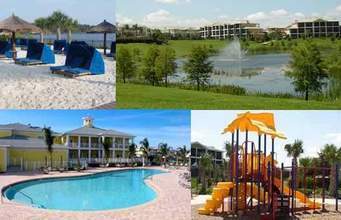 We have both 2 bedroom and 3 bedroom Condos at the beautiful Bahama Bay Resort located 20mins to the west of Disney. Restaurant & 2 bars, Barbecue areas and beautiful landscaped grounds.